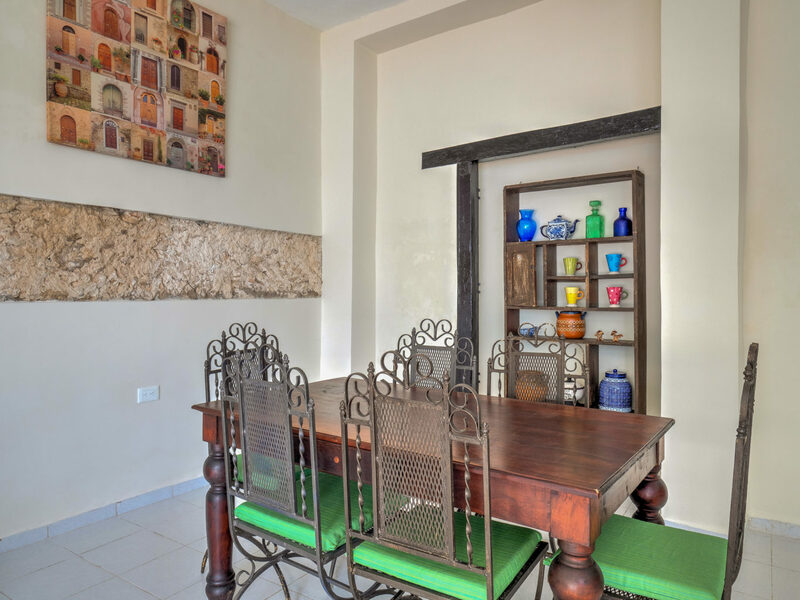 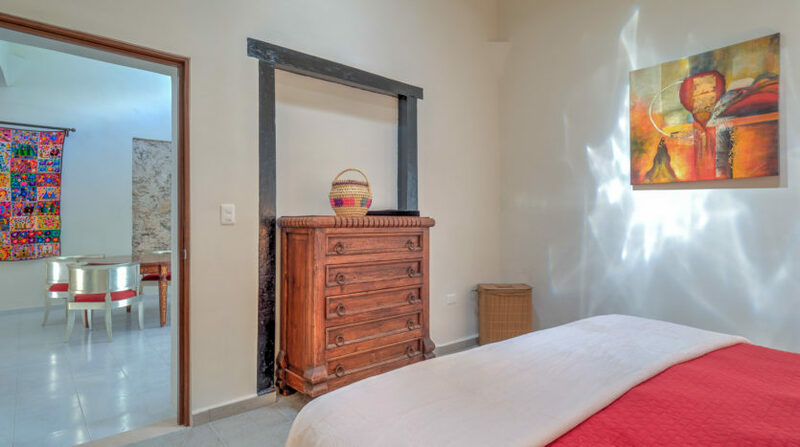 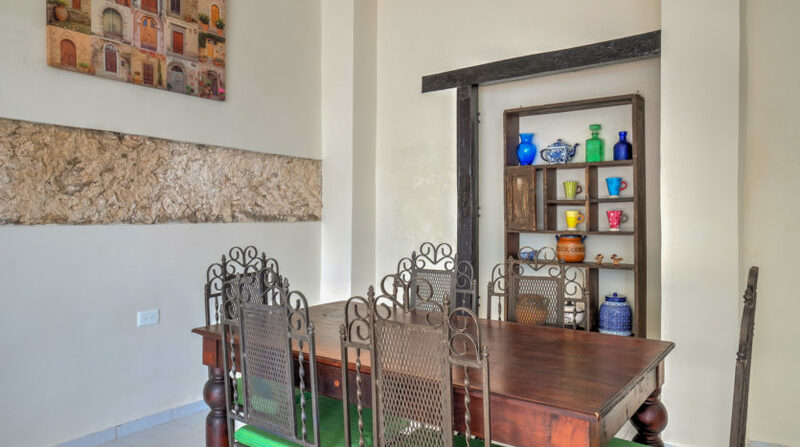 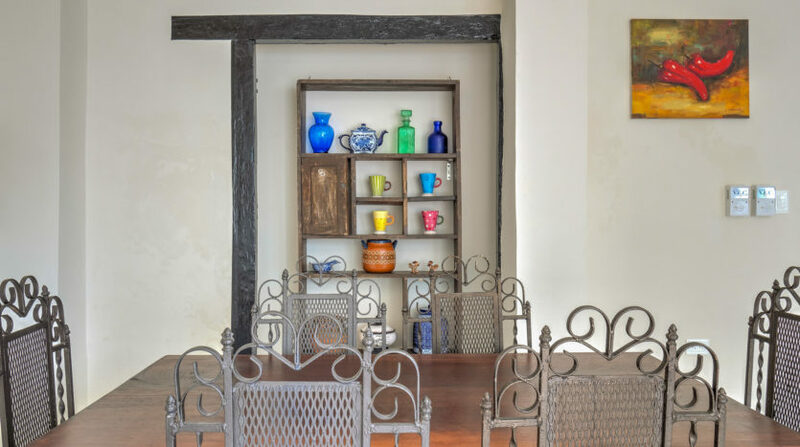 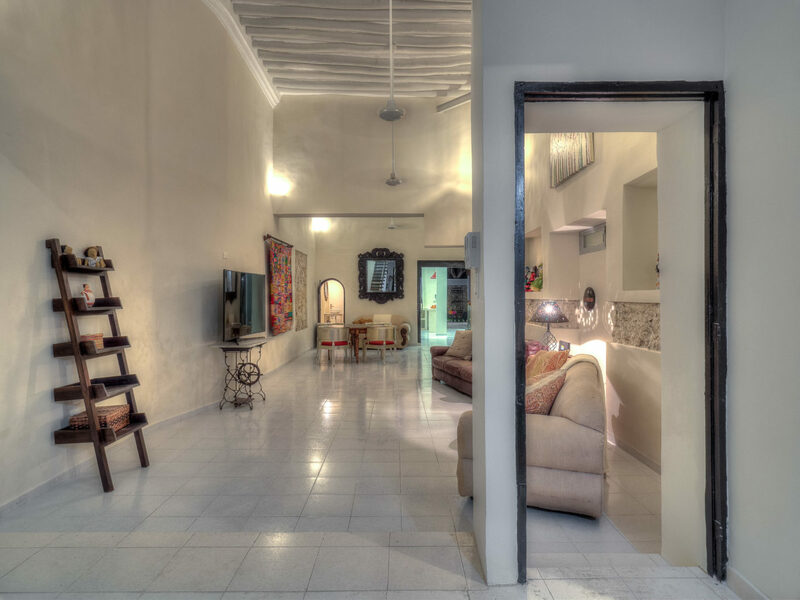 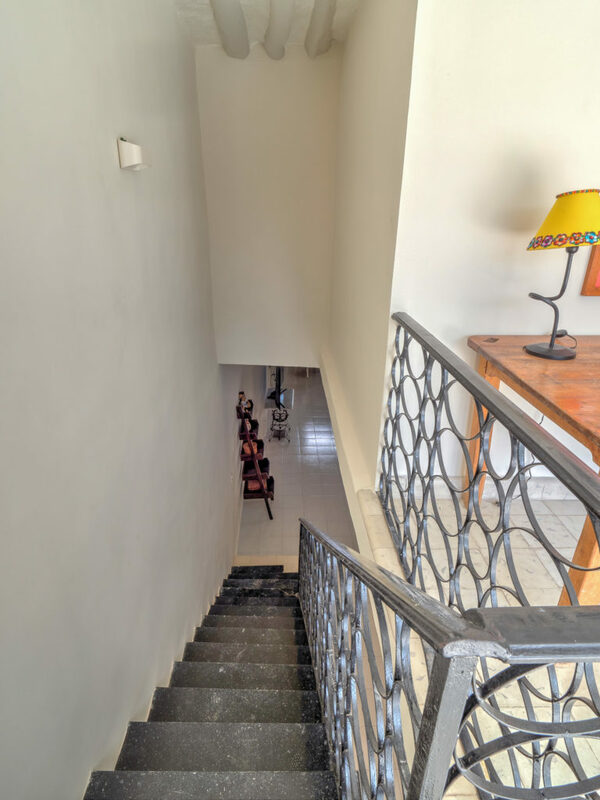 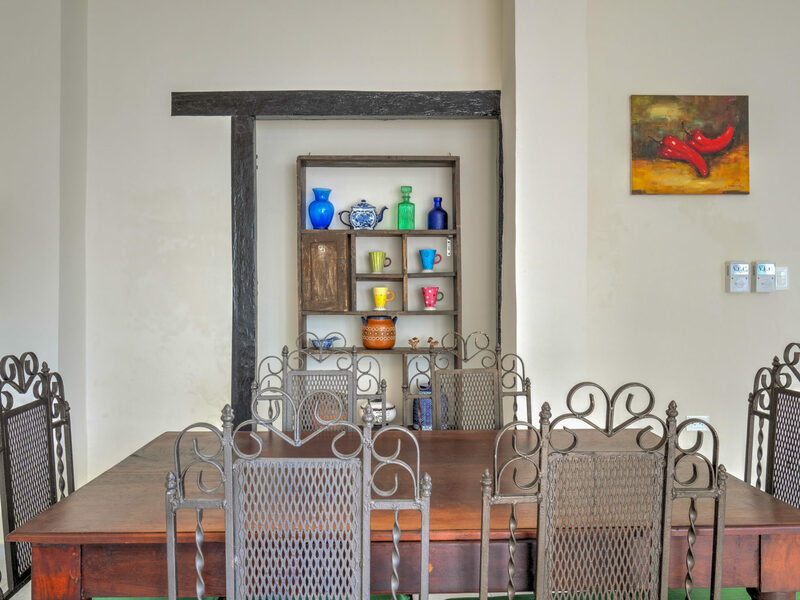 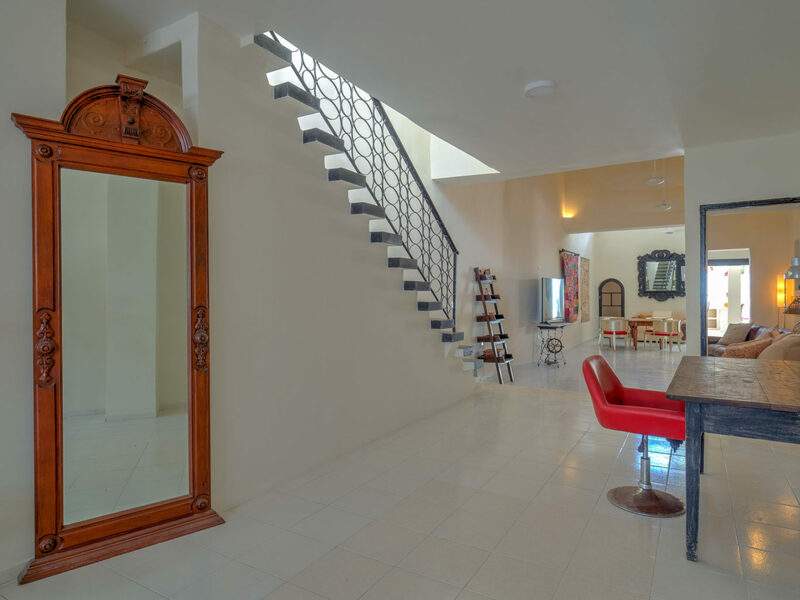 Literally only a few steps from Parque Santiago, this grand colonial home with a twist, is situated in one of the best locations of historic Merida. 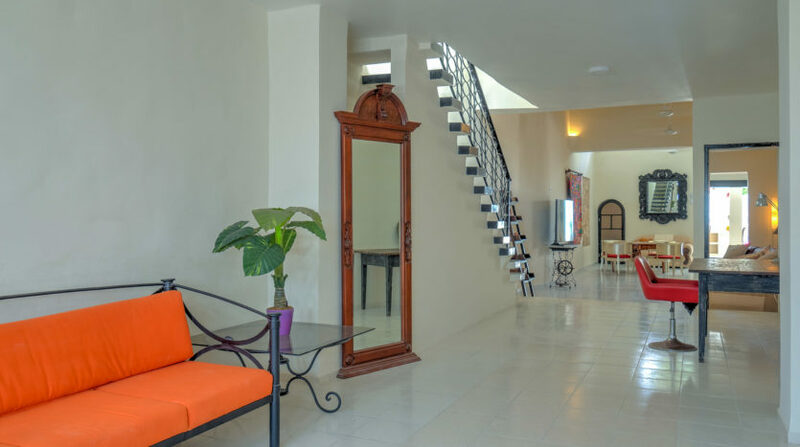 Walk to the neighboring mercado for fresh vegetables and other necessities, or stroll to the zoo, theater, or main square. 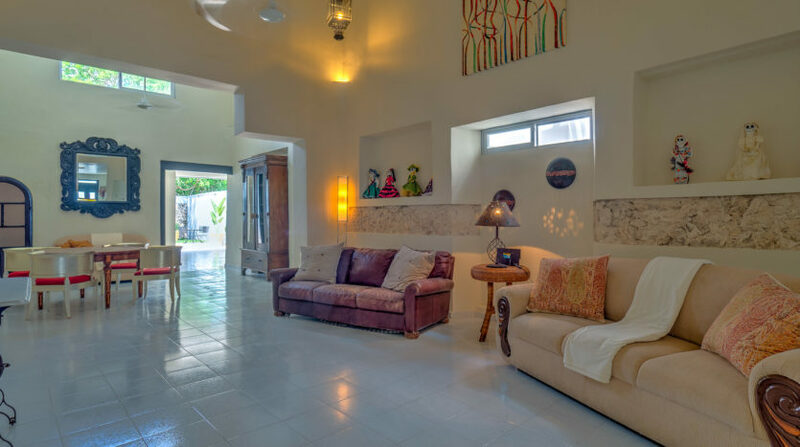 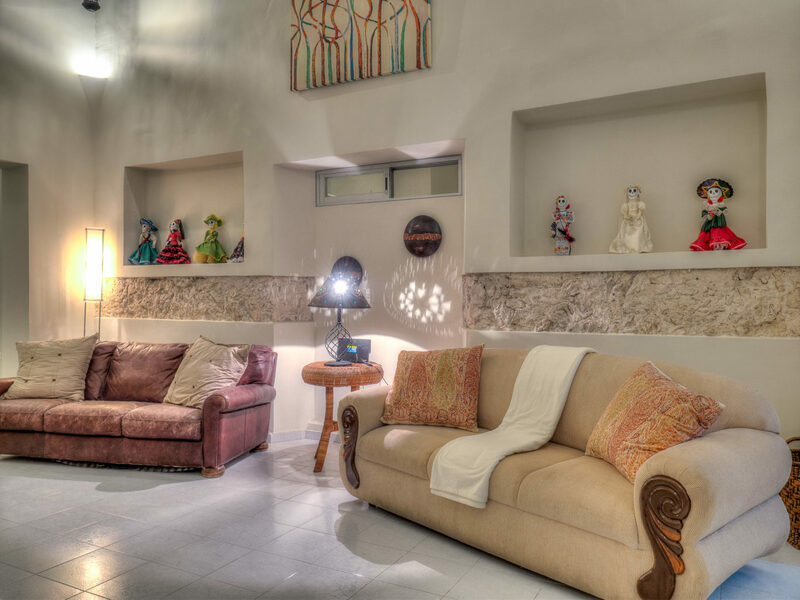 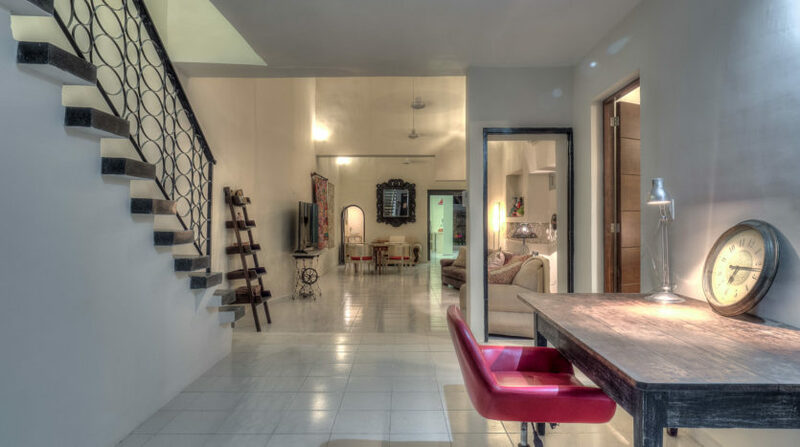 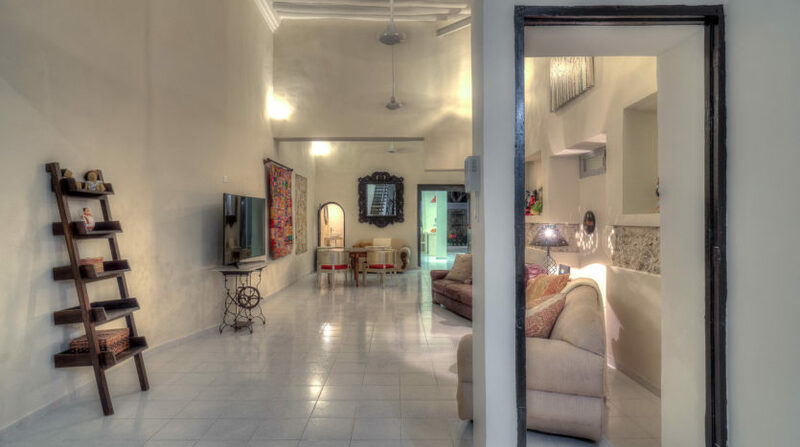 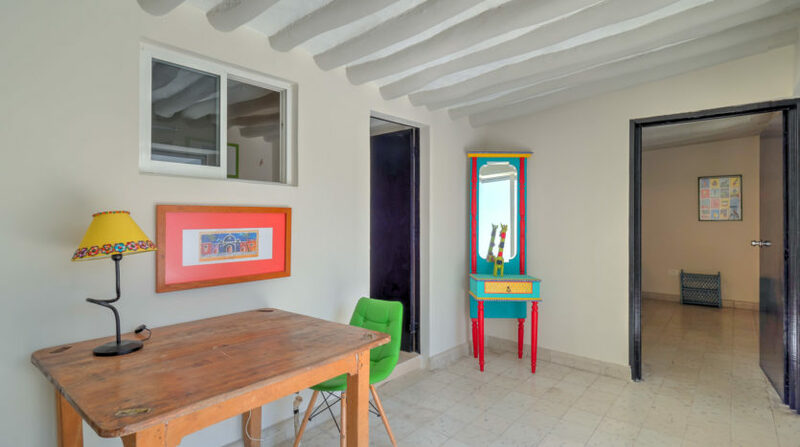 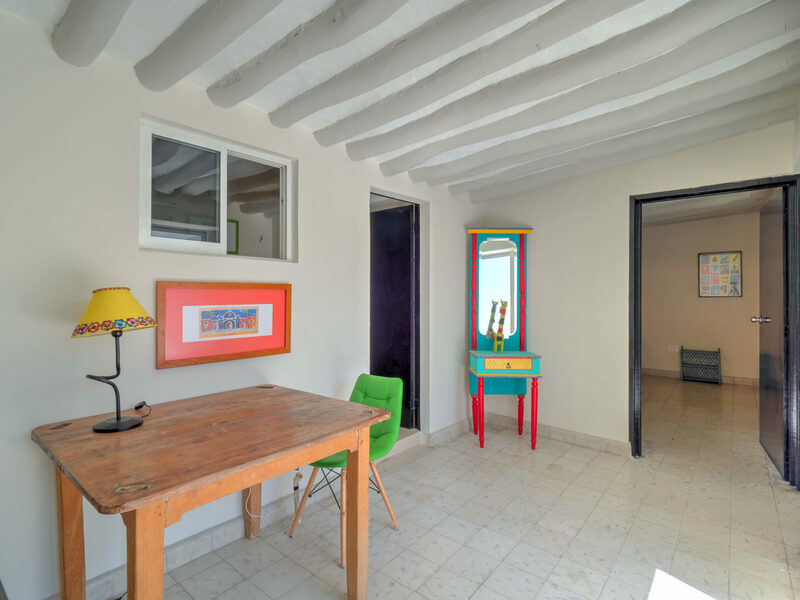 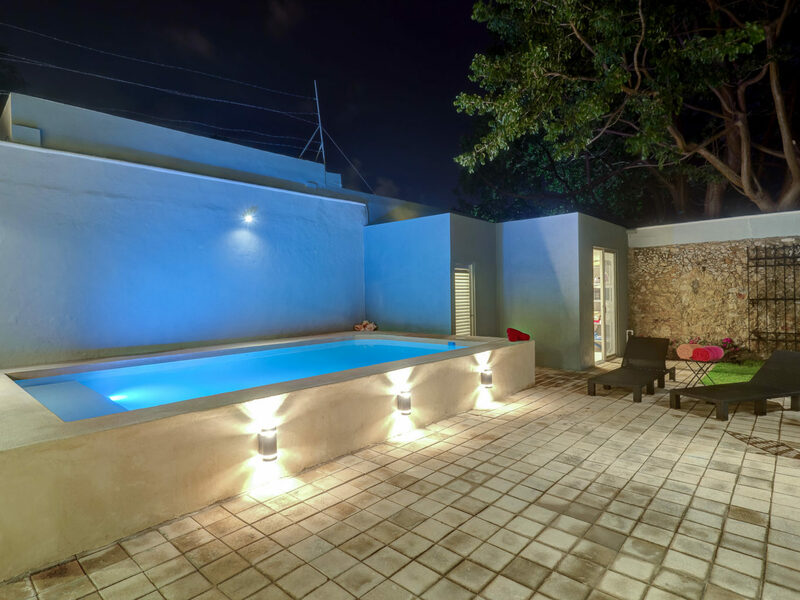 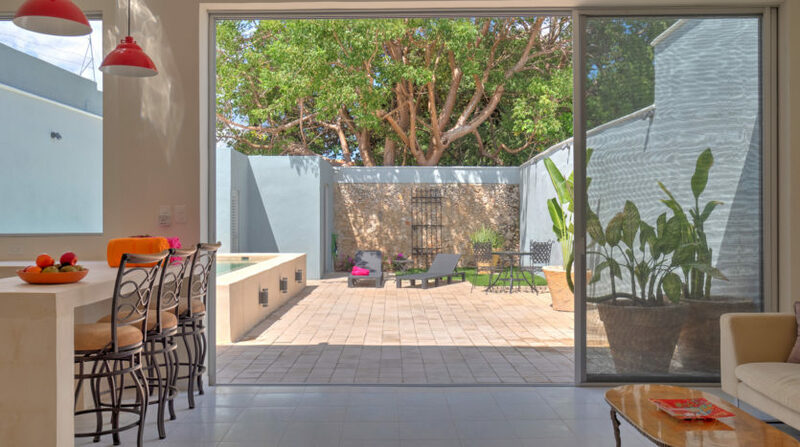 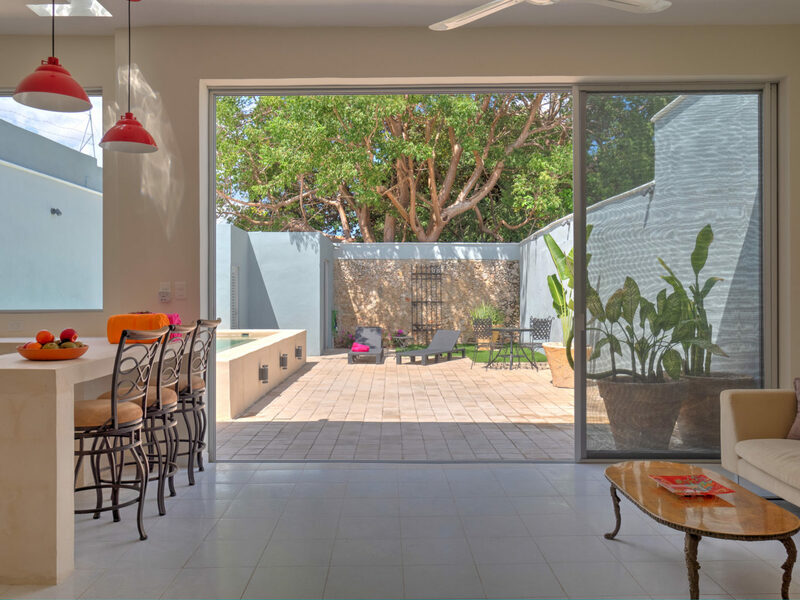 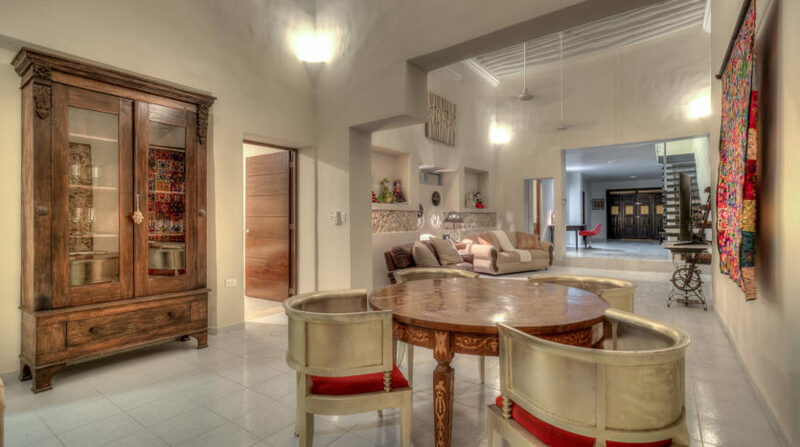 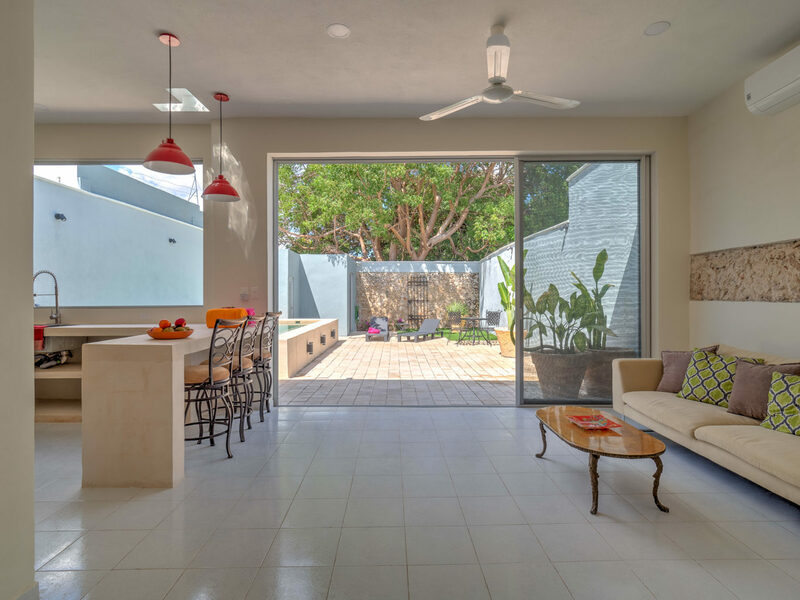 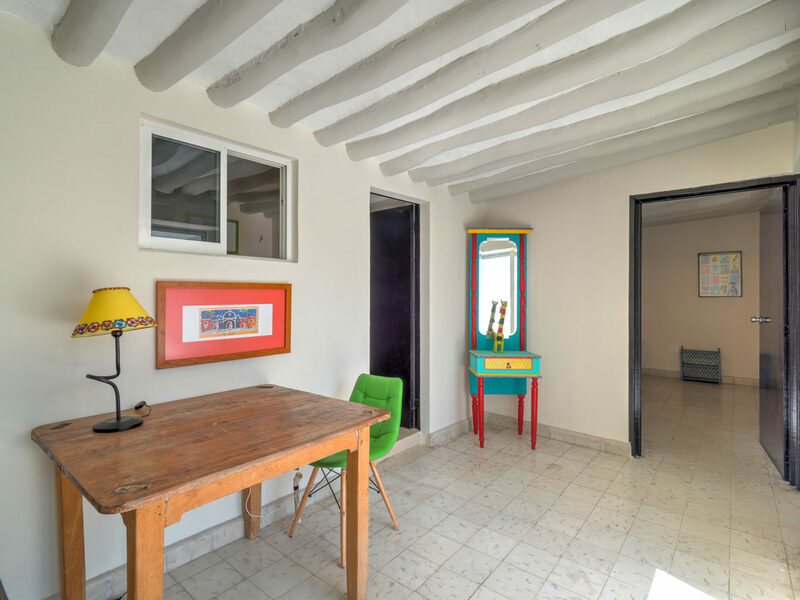 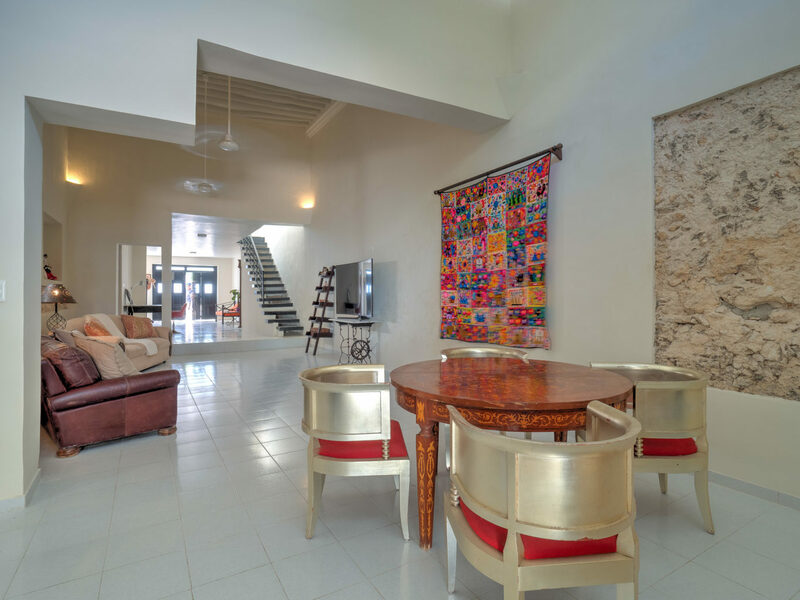 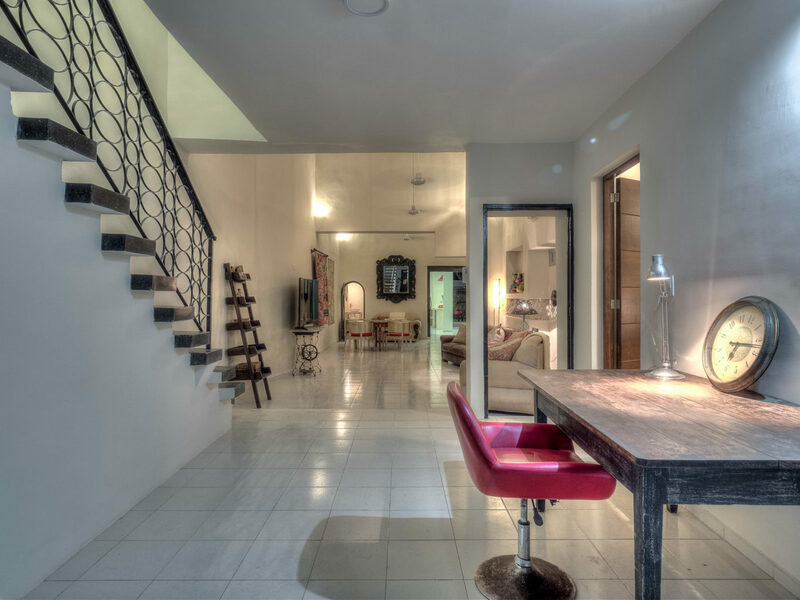 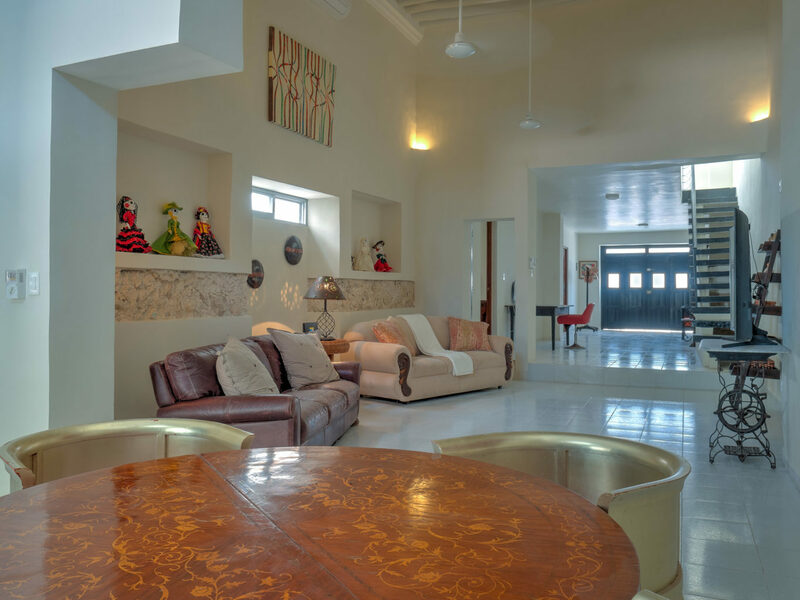 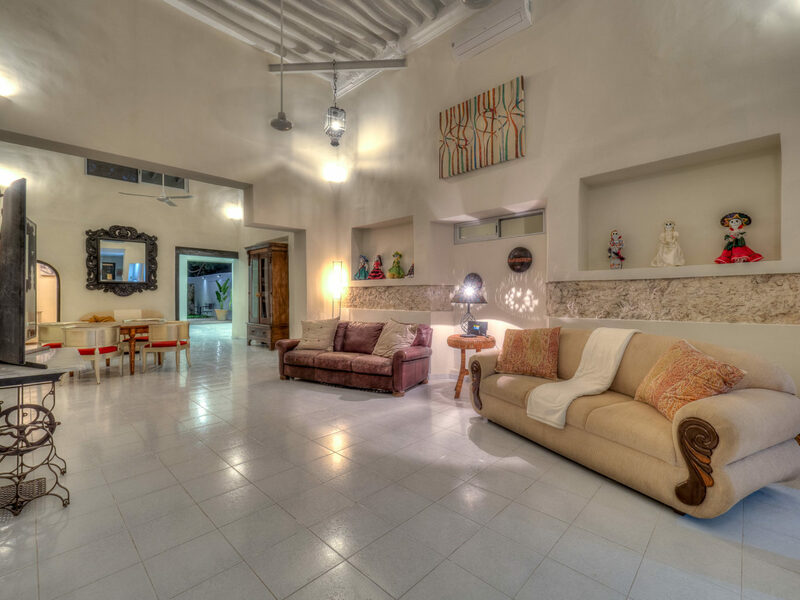 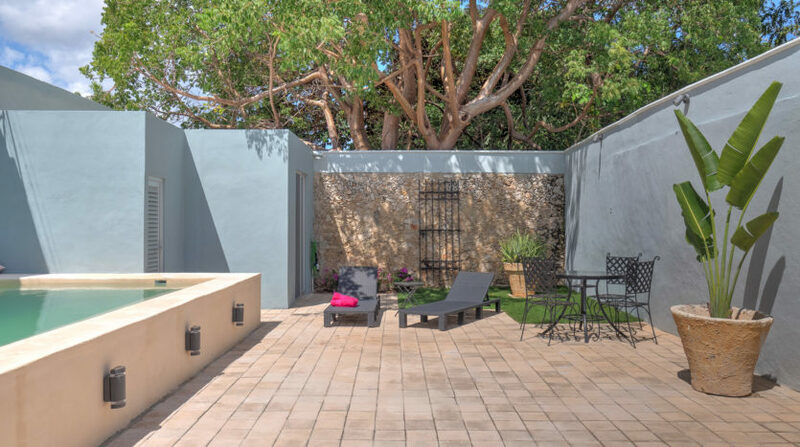 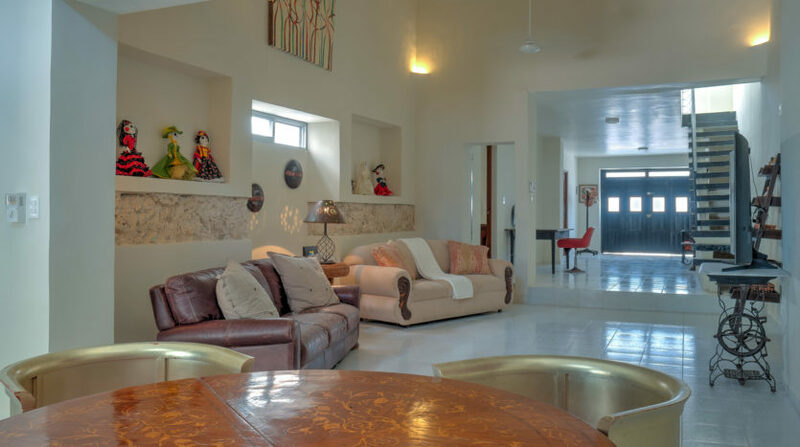 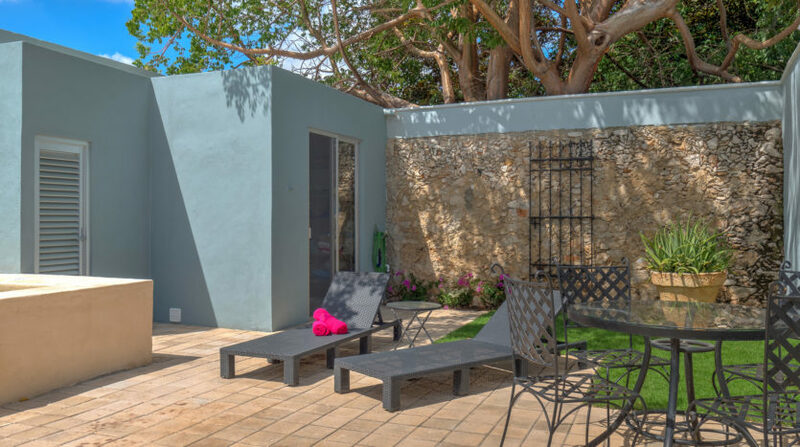 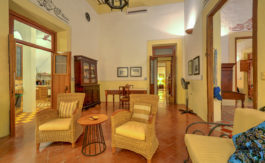 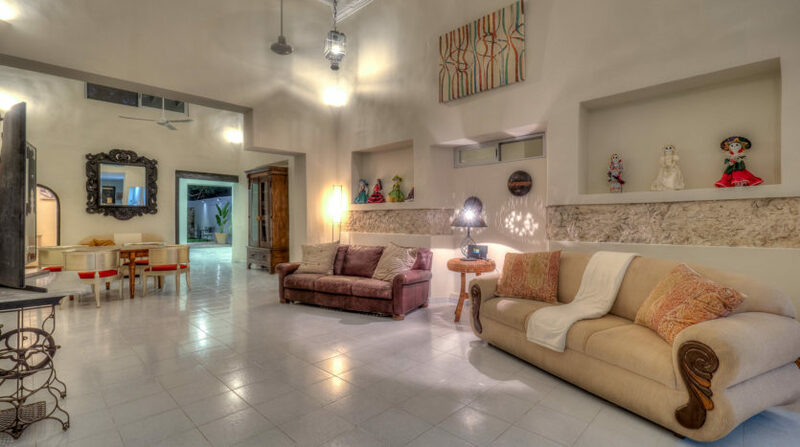 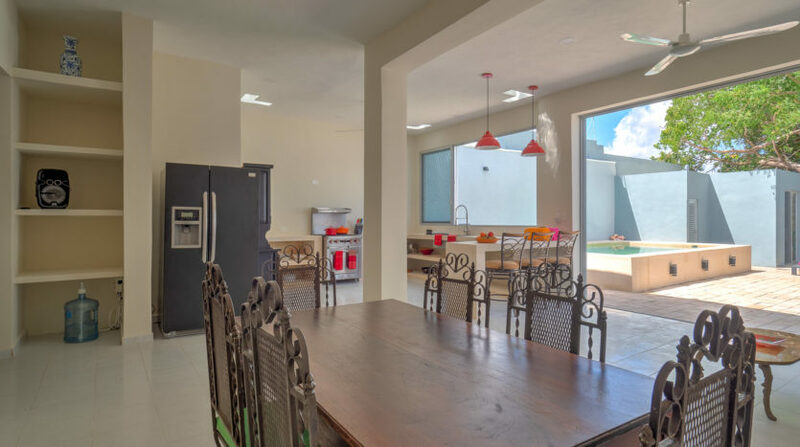 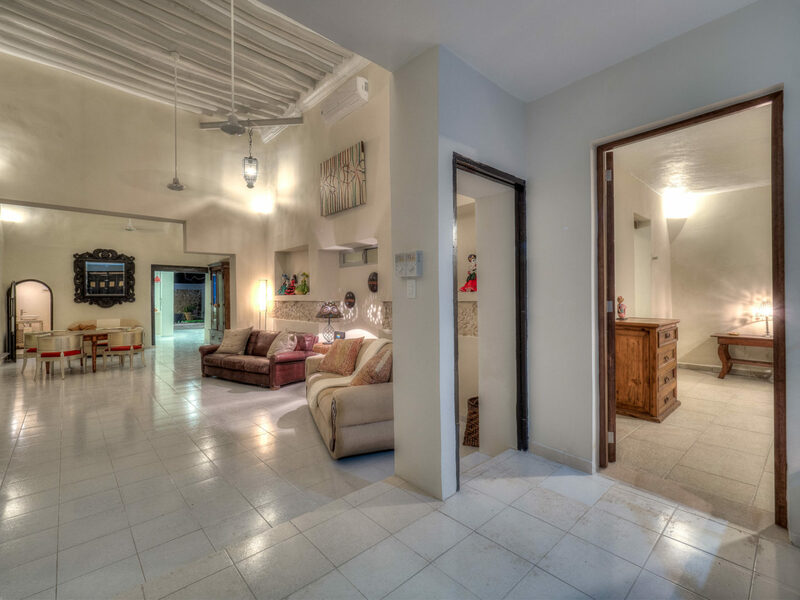 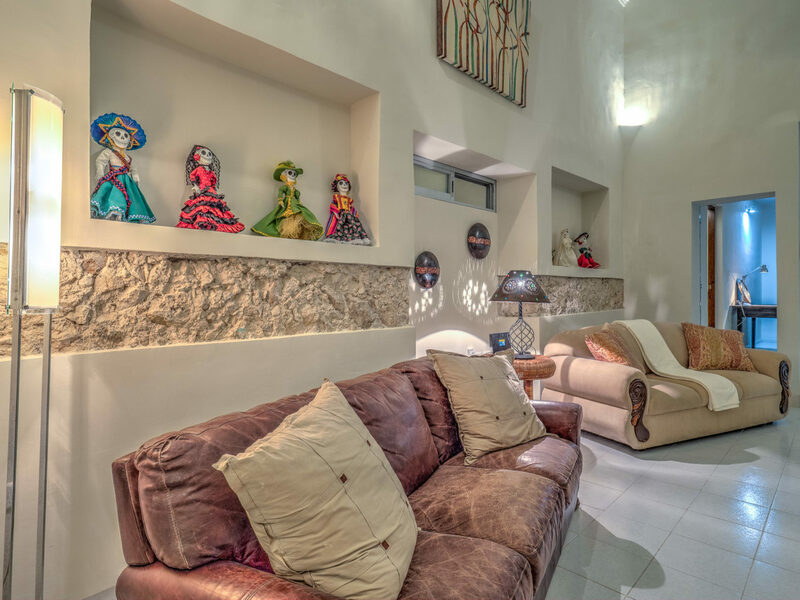 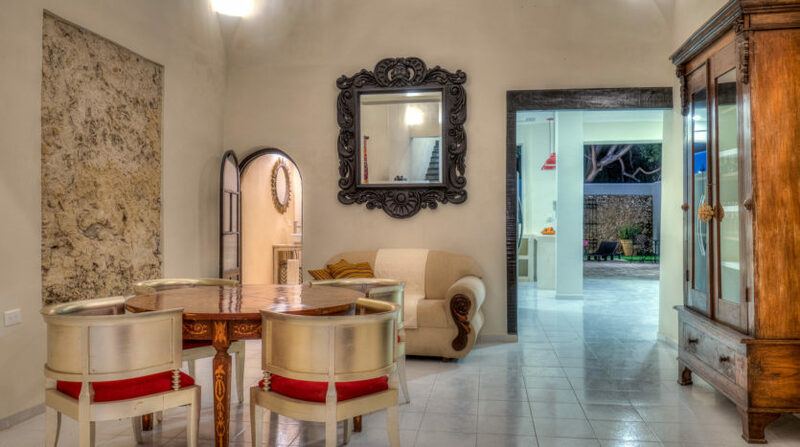 With a large footprint and open floor plan, this remarkable home is the ideal retreat in the heart of Centro. 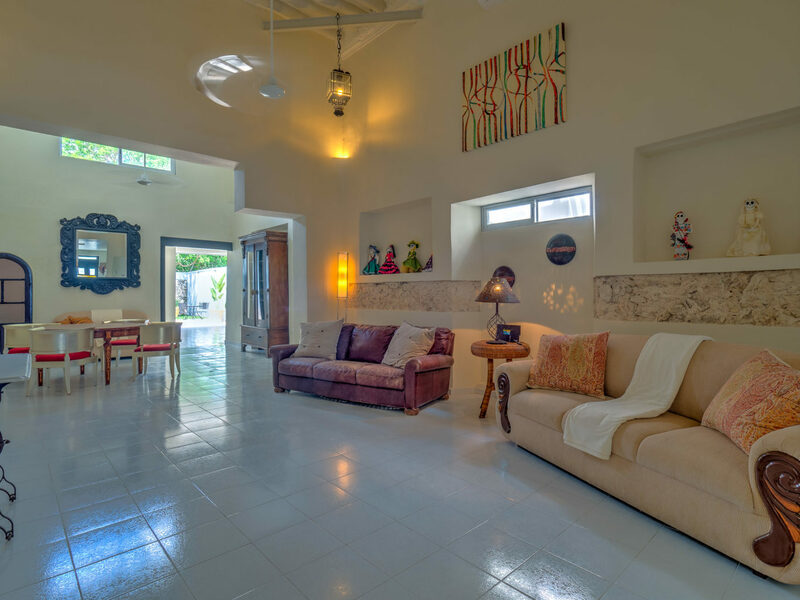 Stepping past the colonial facade, you will be welcomed into this 100+ year old home by its high ceilings with both log and wood beams, skylights and a more modern layout featuring soaring spaces with plenty of natural light. 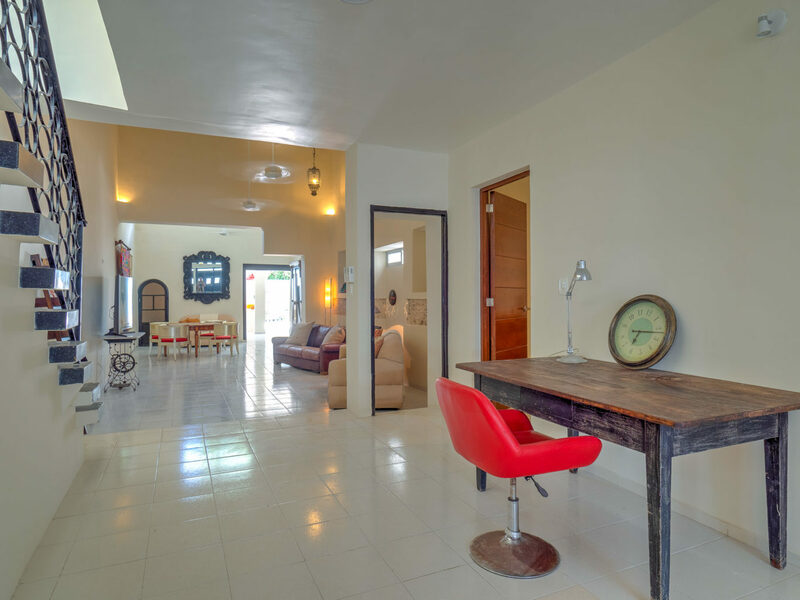 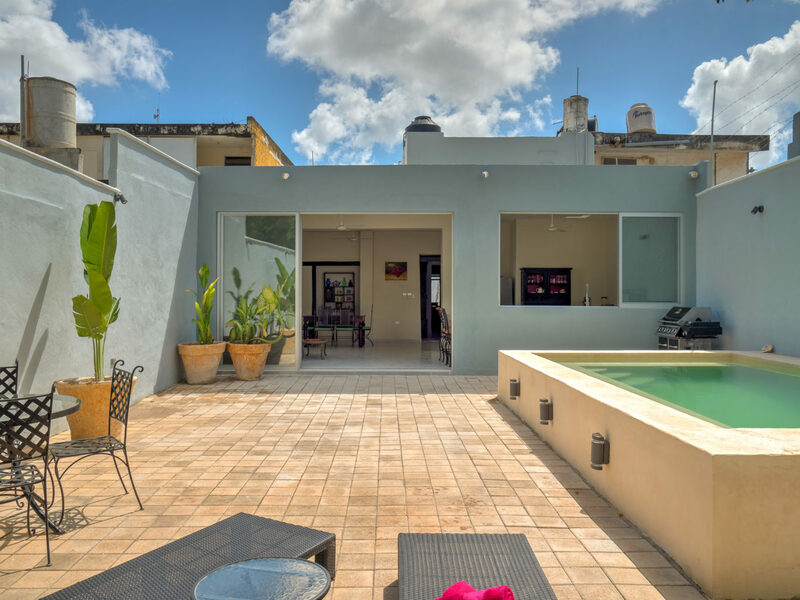 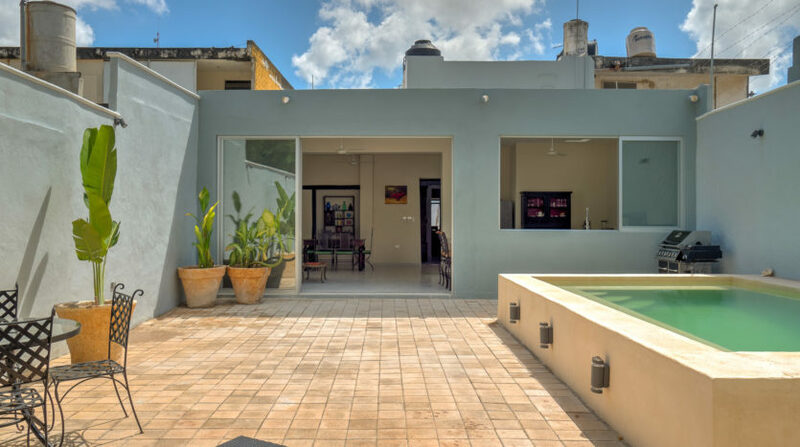 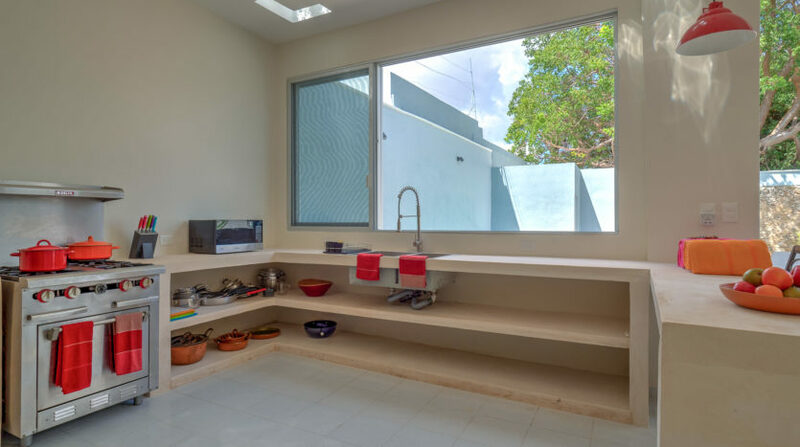 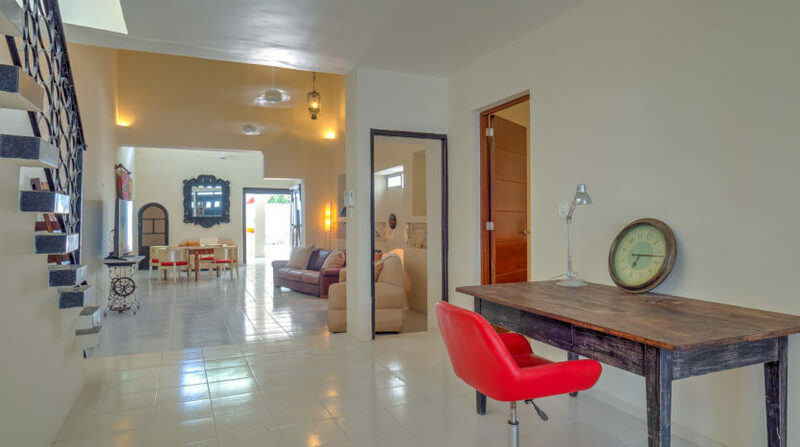 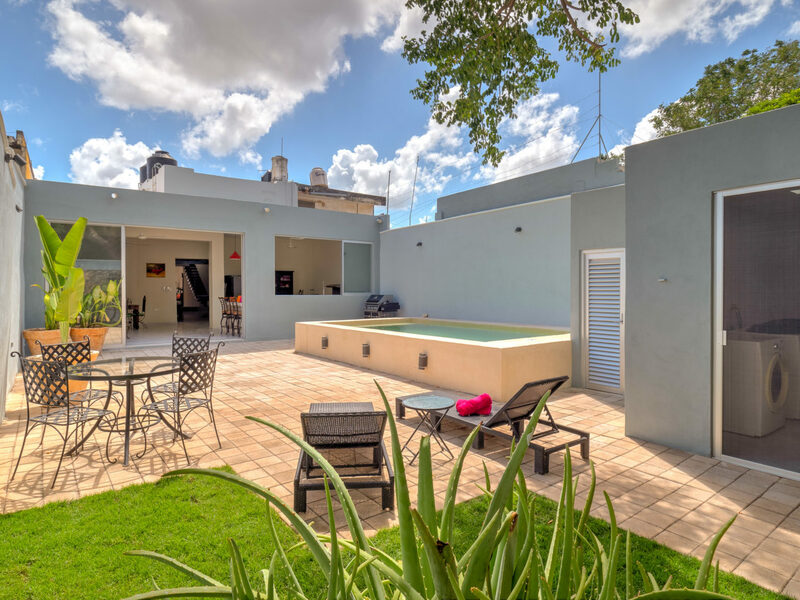 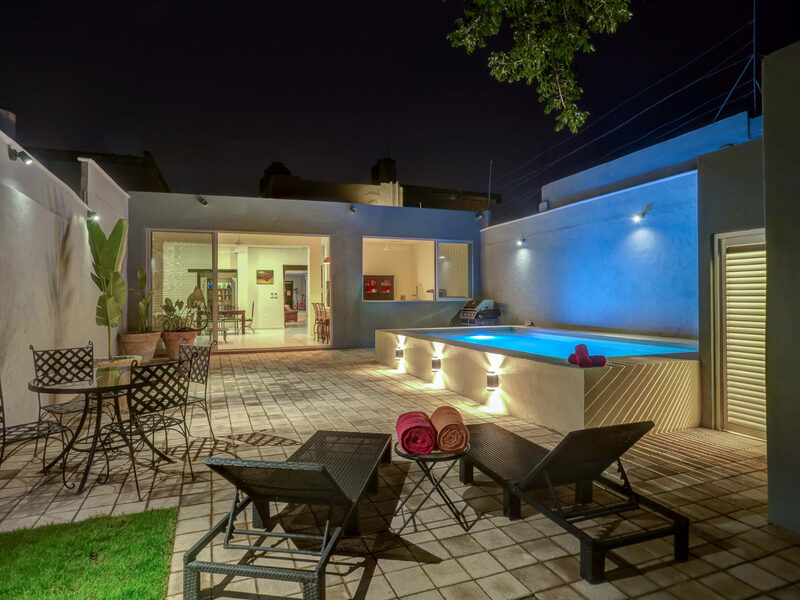 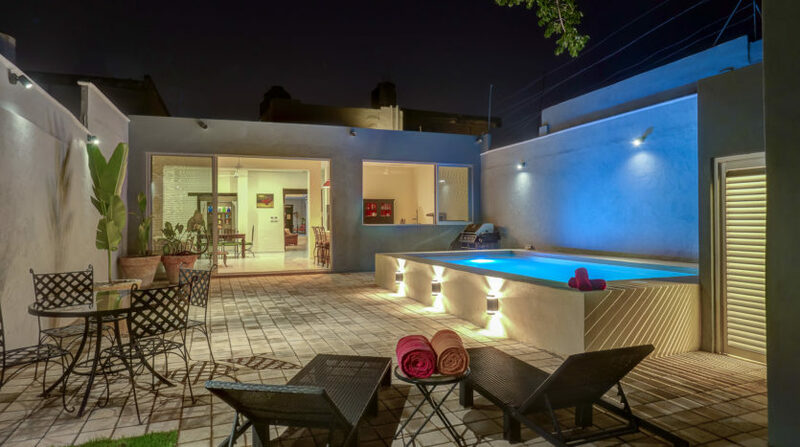 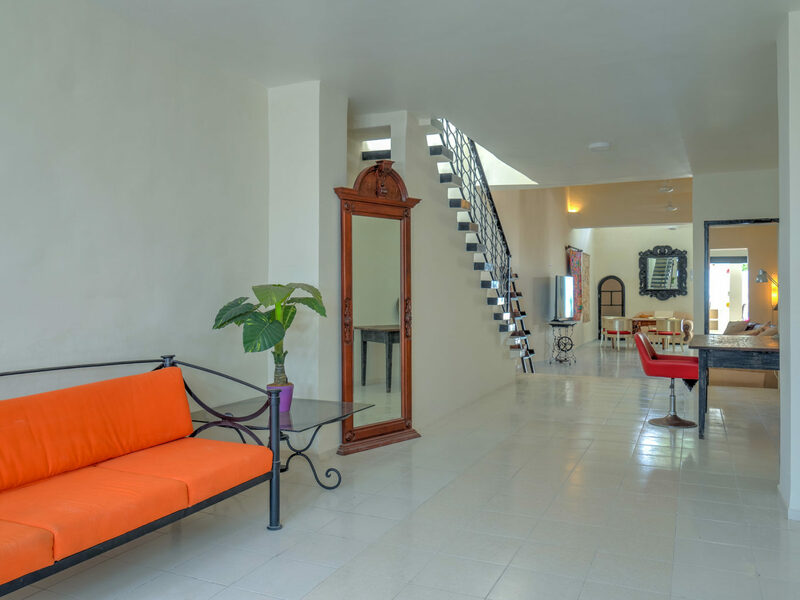 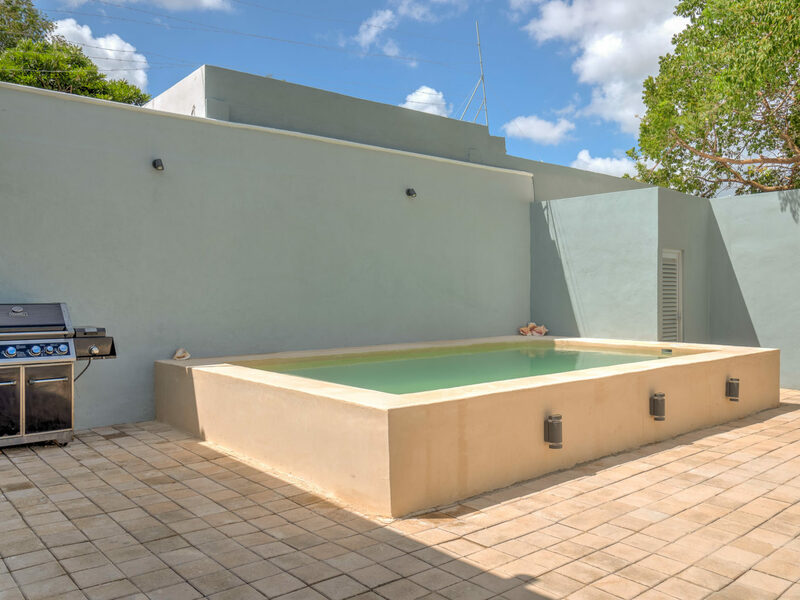 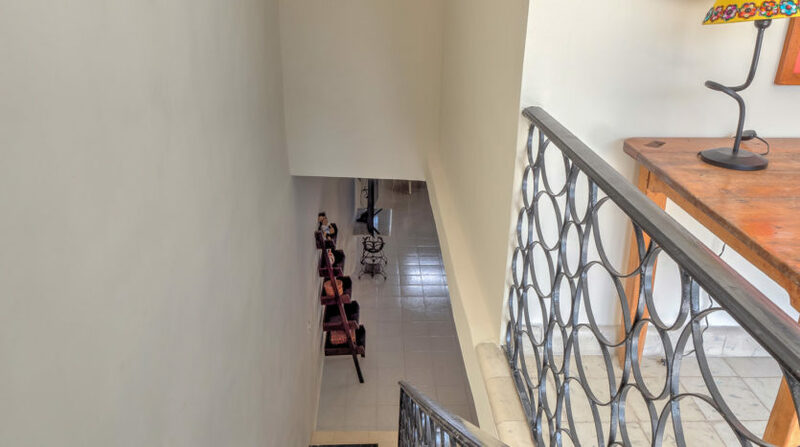 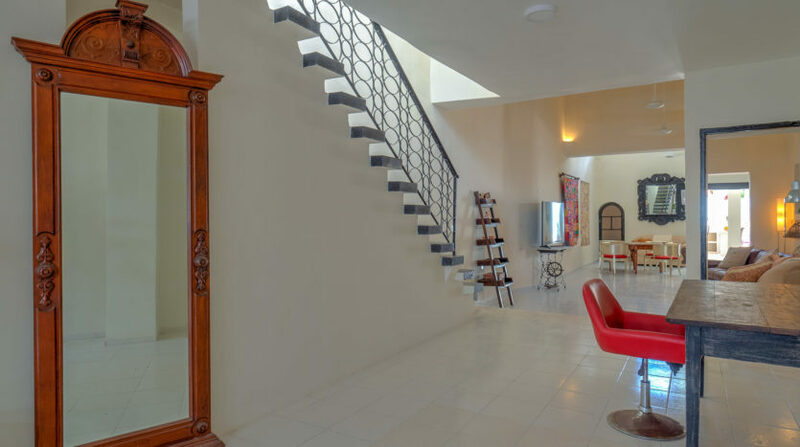 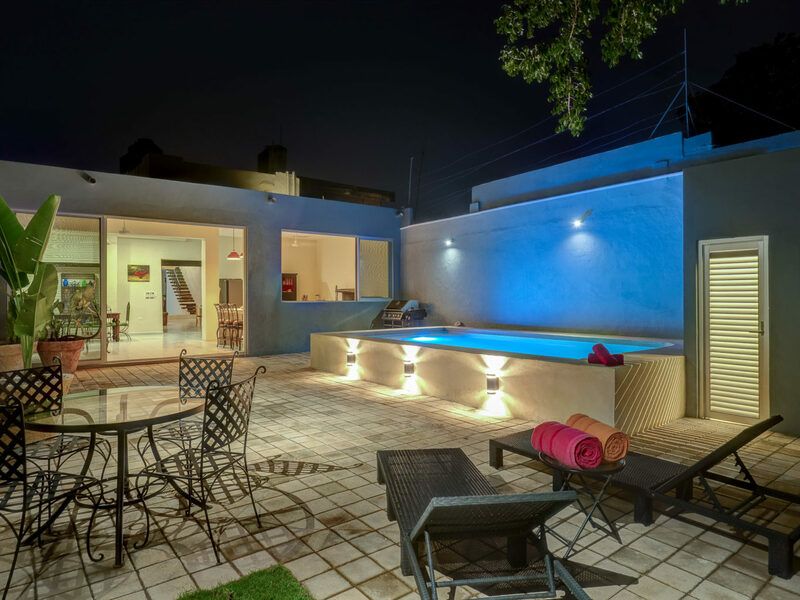 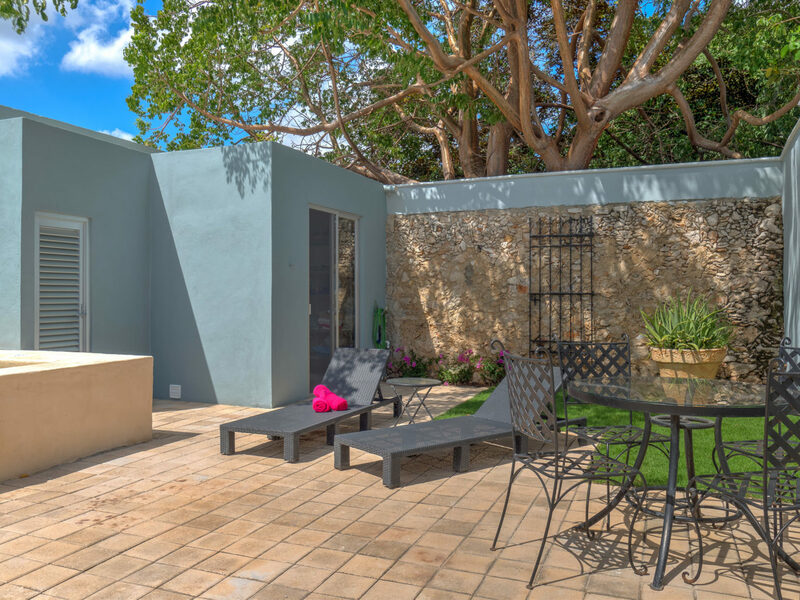 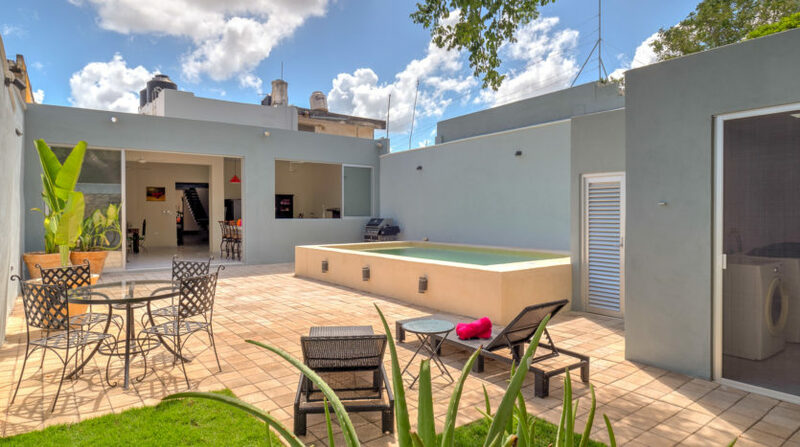 The 4 bedroom home has entry foyer, three living rooms, dining room, office nook, fully-equipped kitchen, center atrium, deep pool and ample terrace for entertaining and relaxing , just a half block from Santiago Park the city. 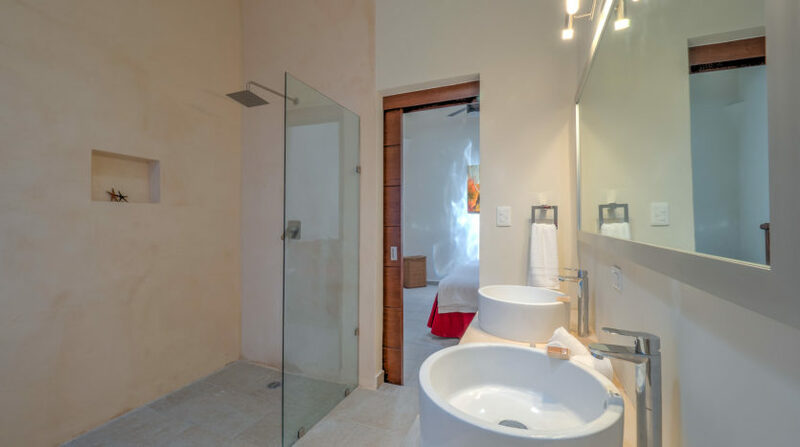 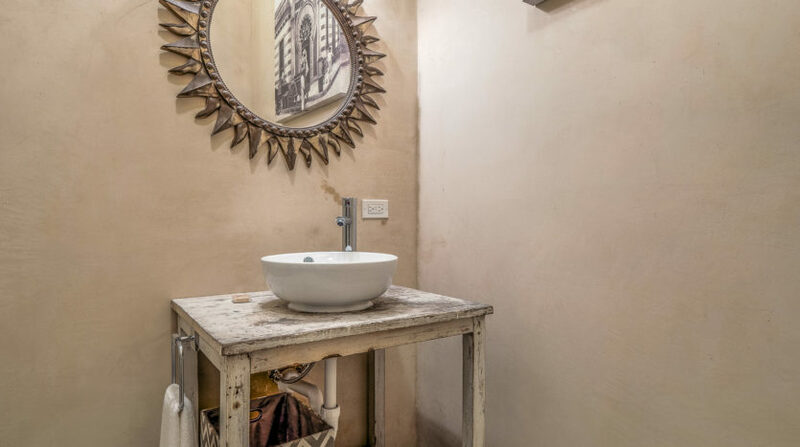 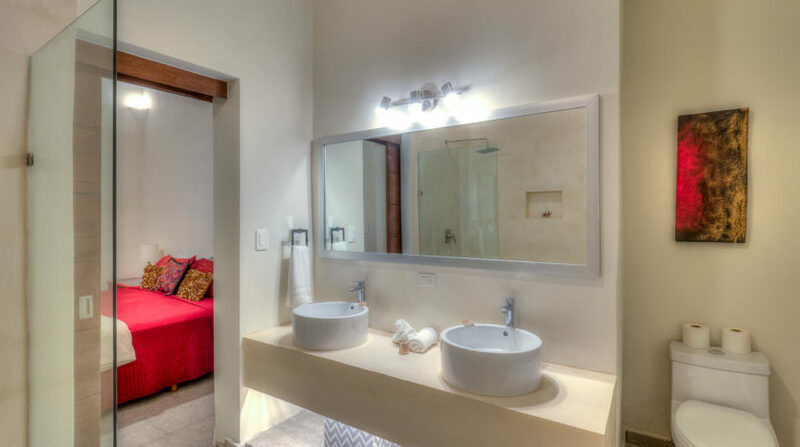 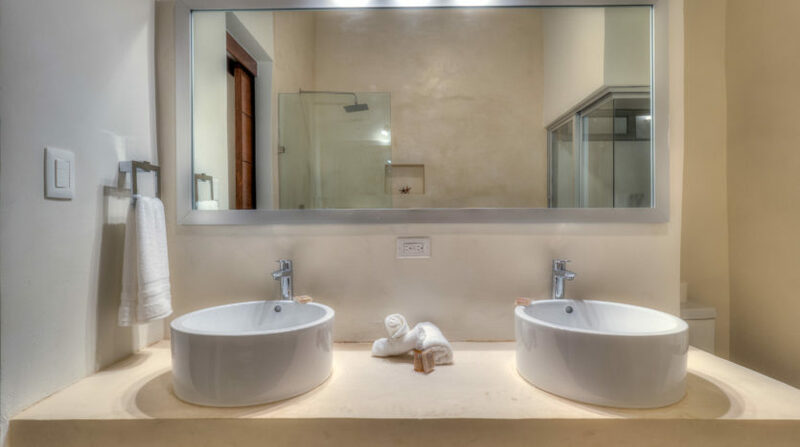 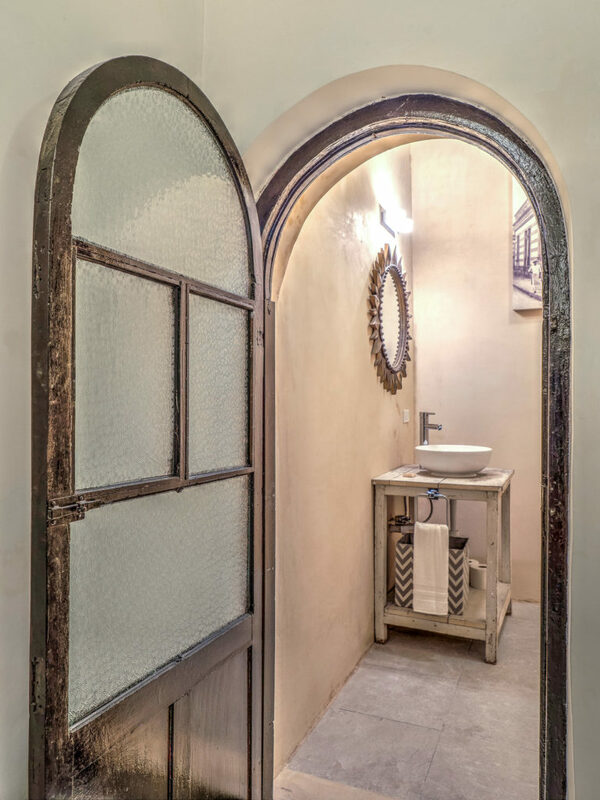 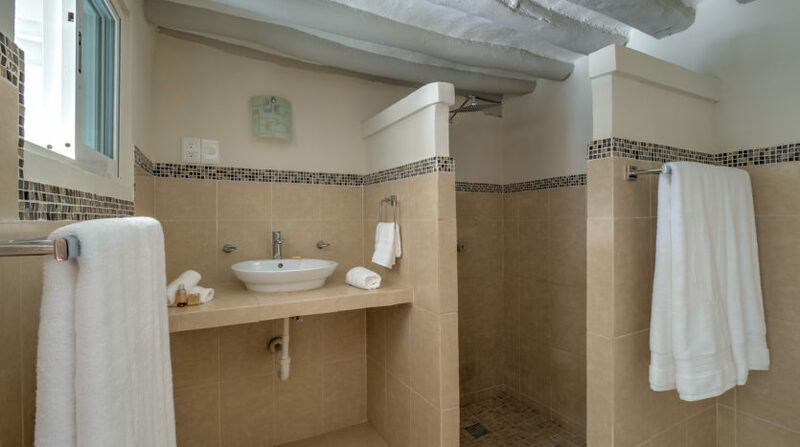 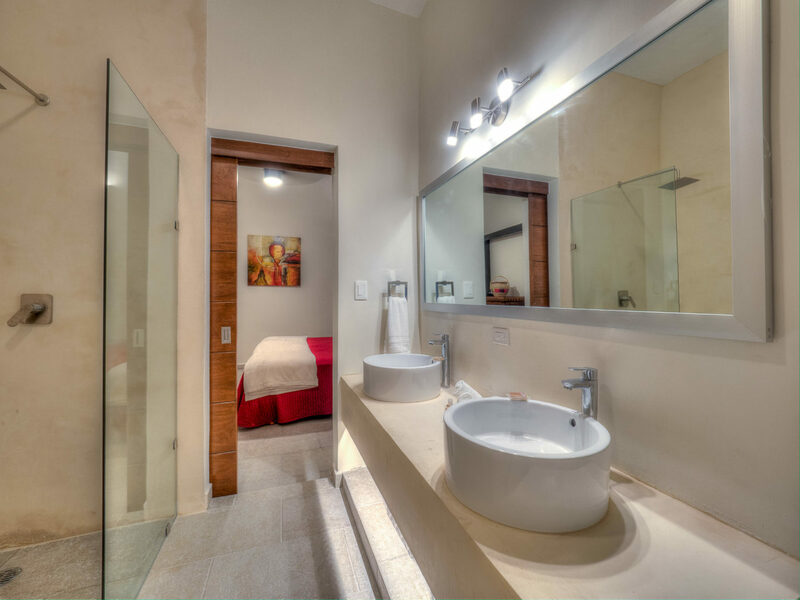 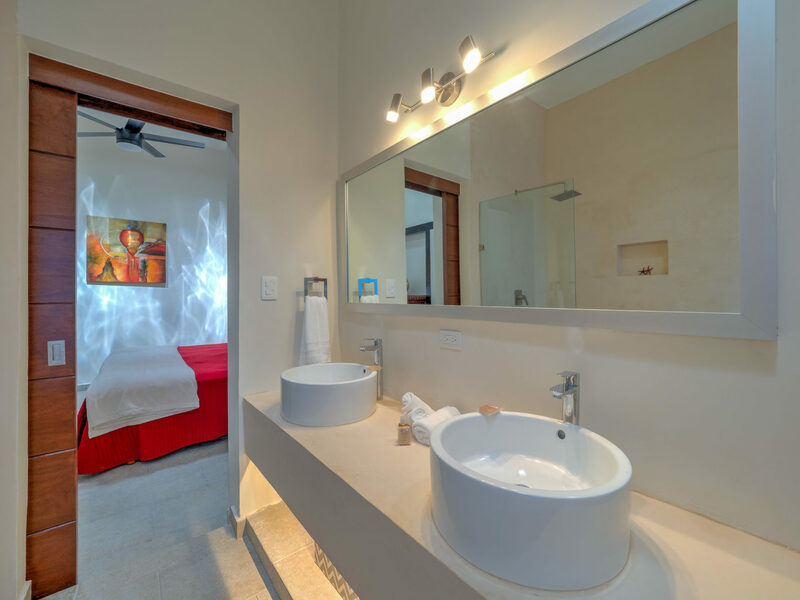 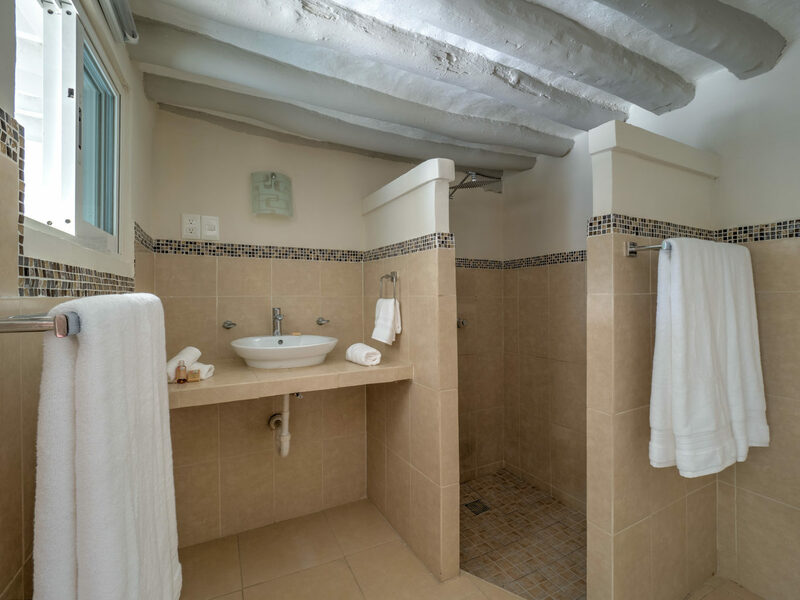 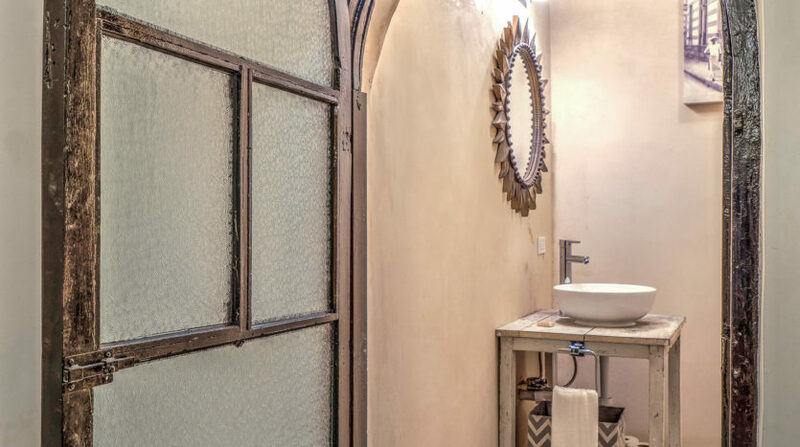 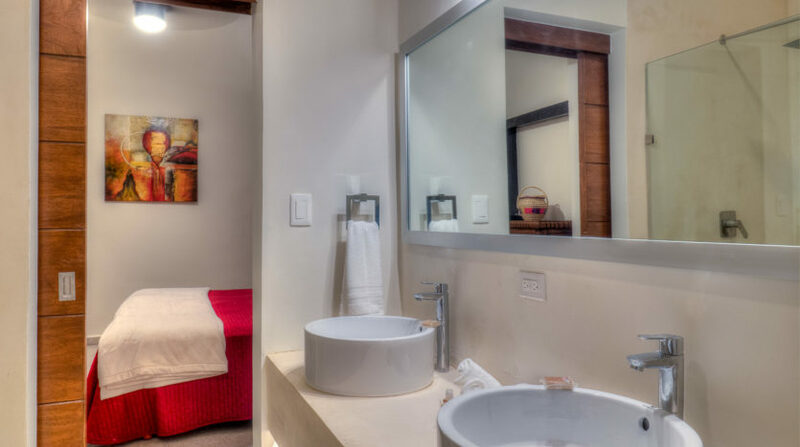 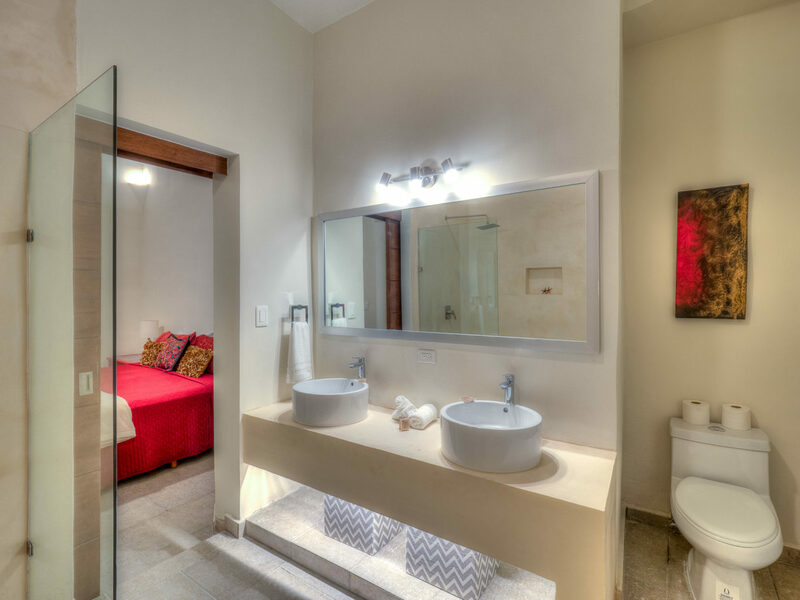 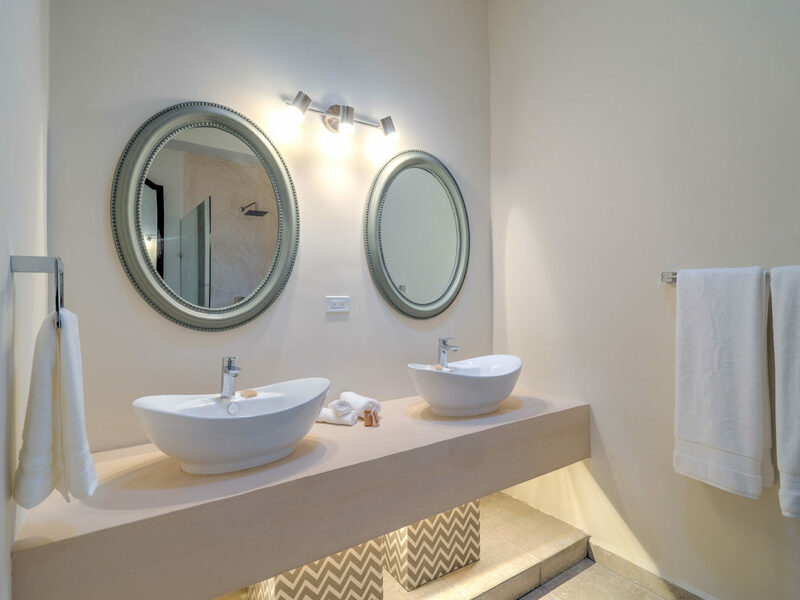 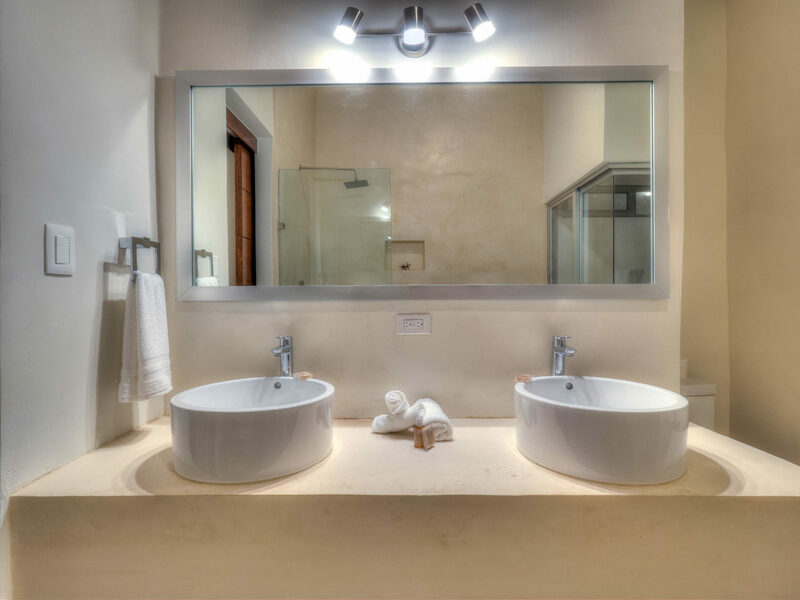 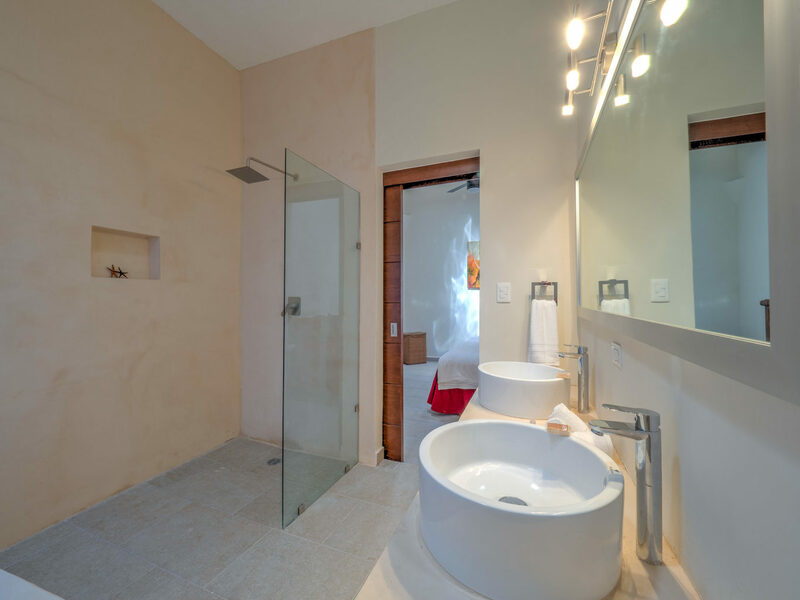 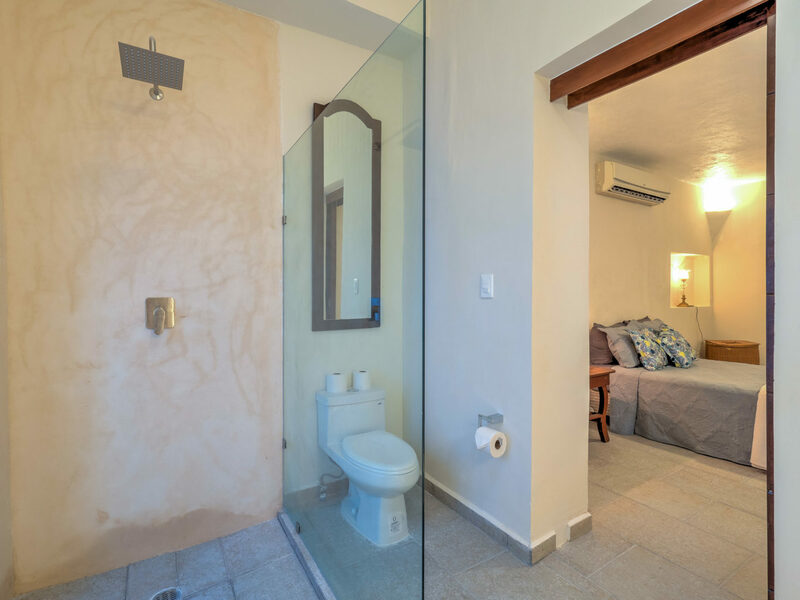 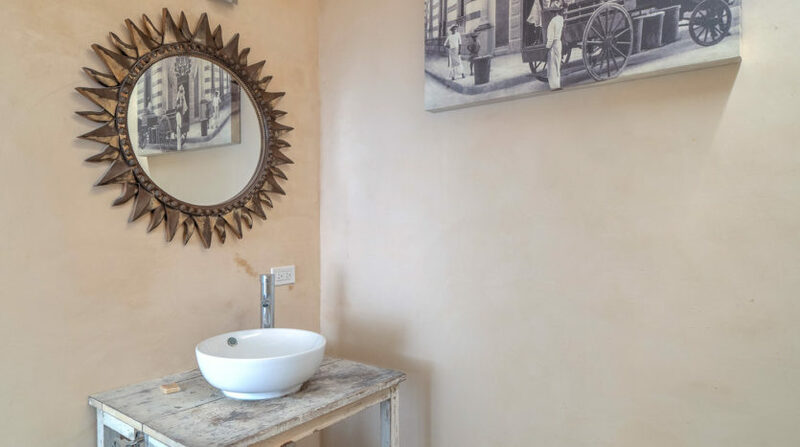 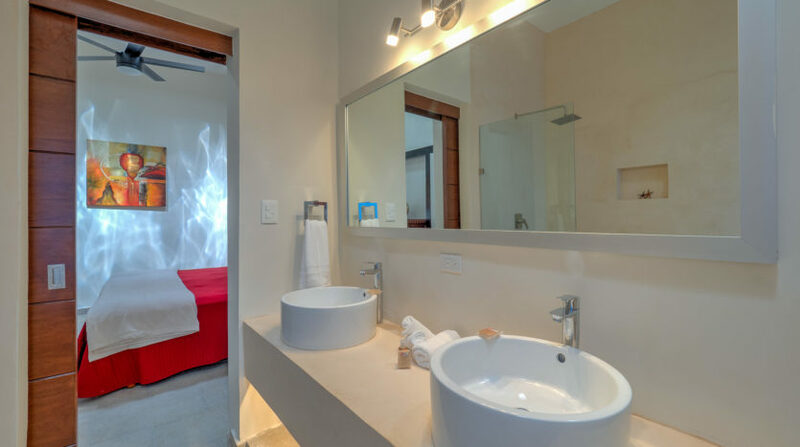 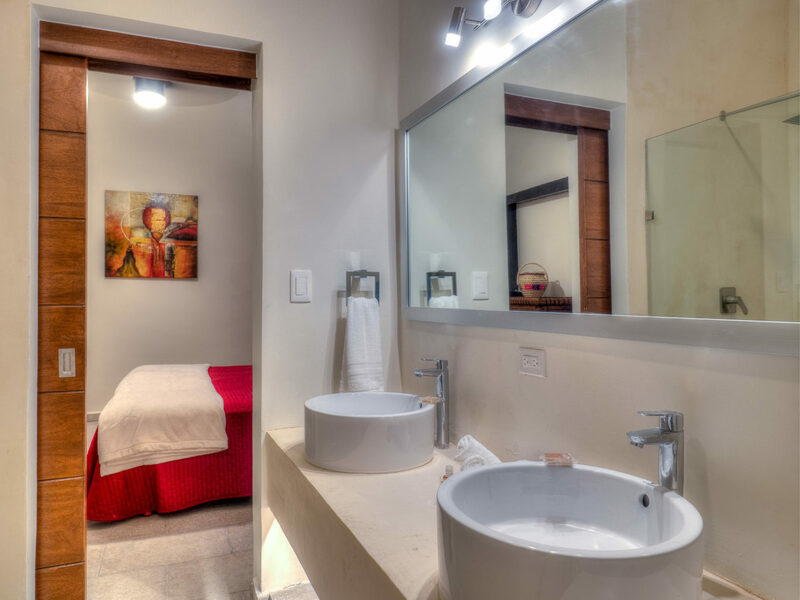 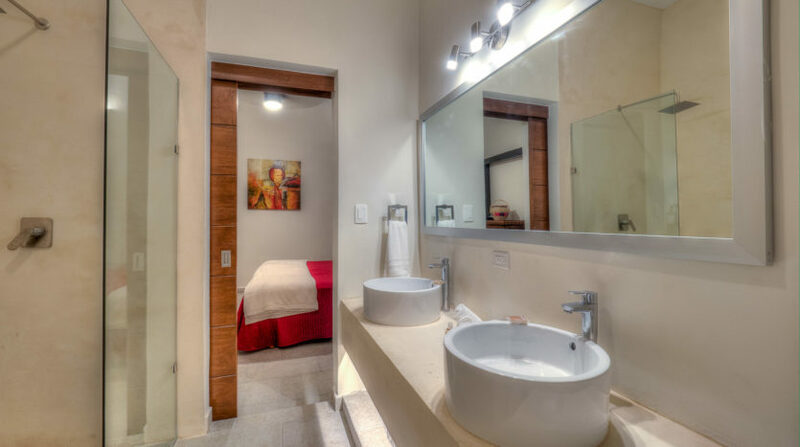 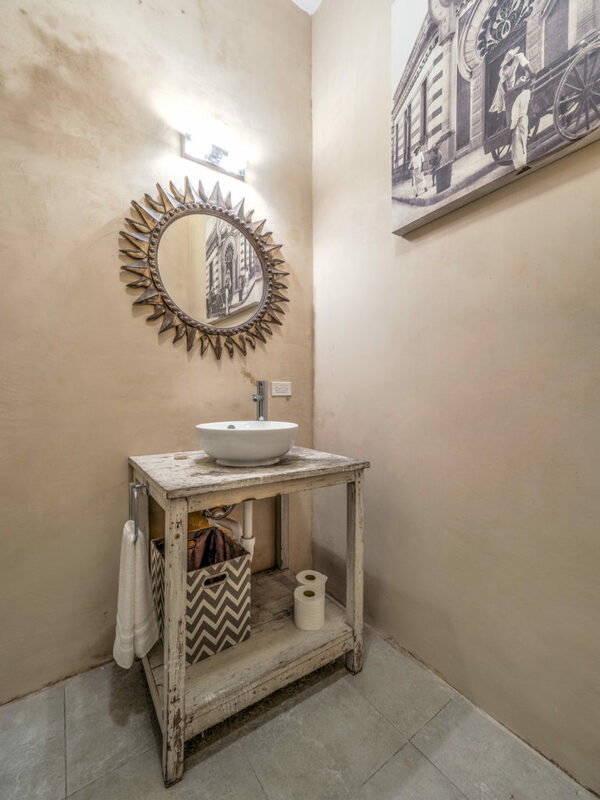 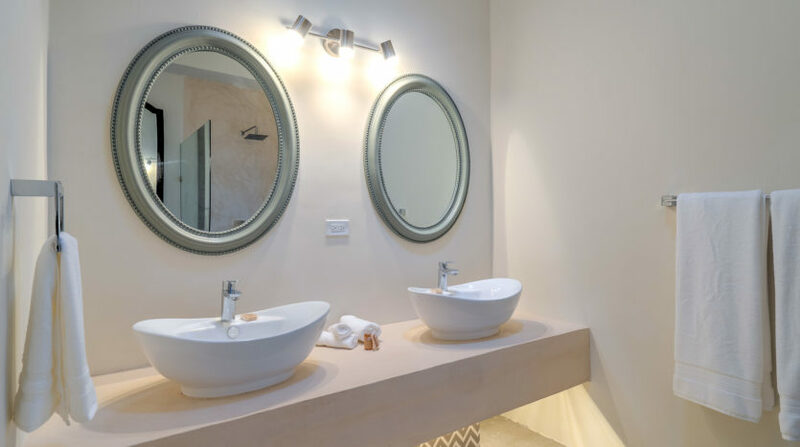 All of the bedrooms feature ensuite bathrooms with a stone tub found in the Master bathroom. 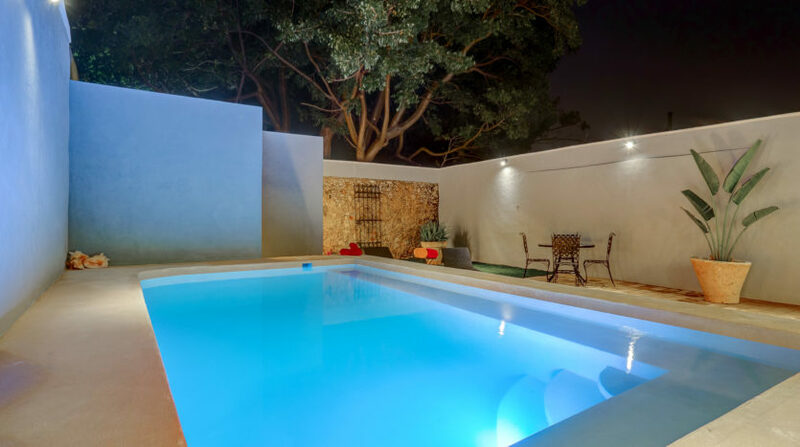 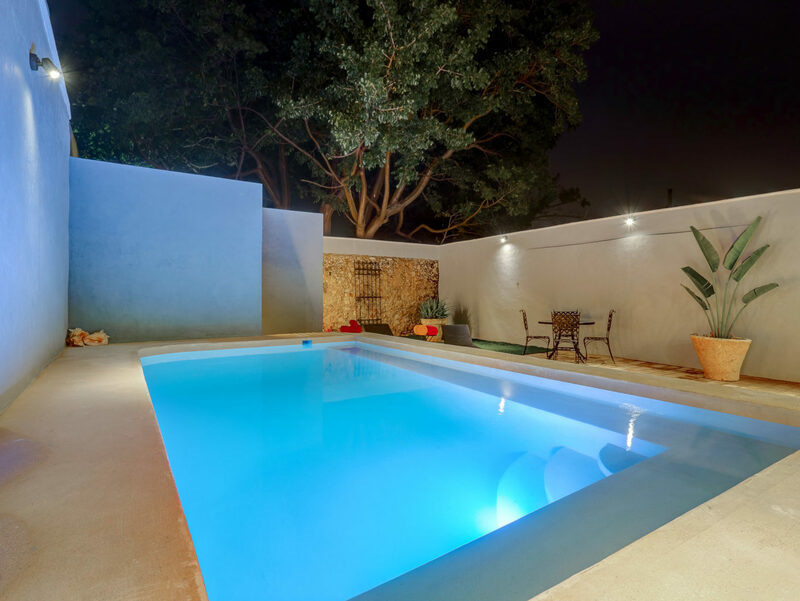 The large, filtered pool has color changing, LED pool lighting and 2 long lounging areas built-in for entertaining friends. 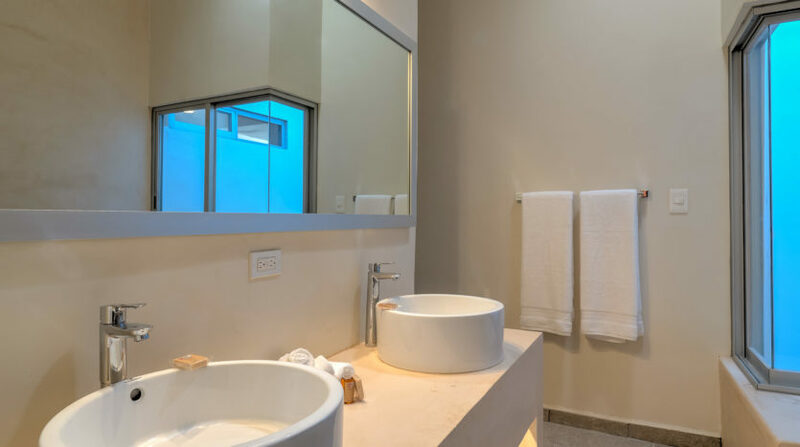 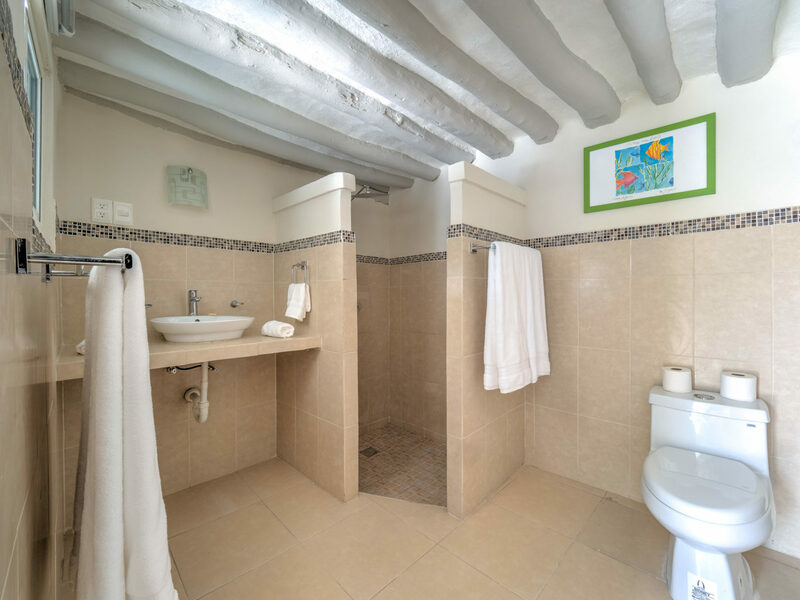 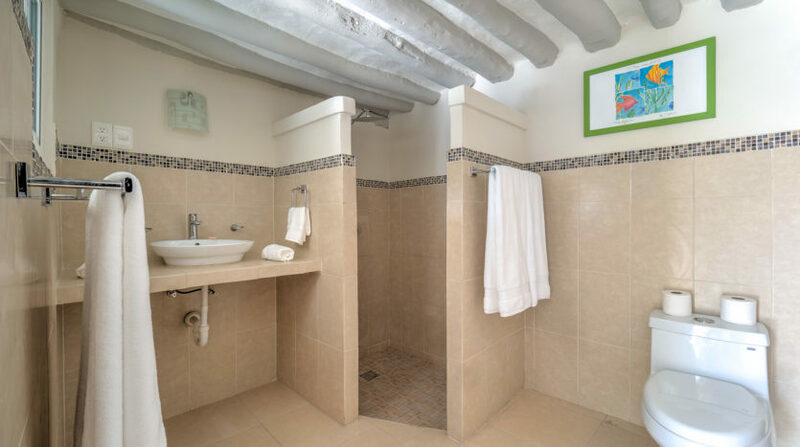 There is also a full bathroom servicing this area which is located at the rear just before the laundry room which has a full-size washer and dryer and extra space for all your things. 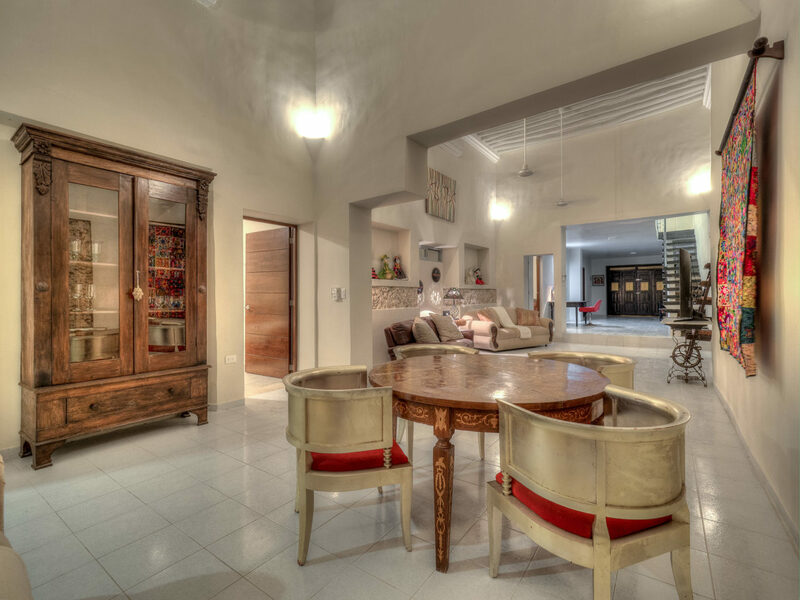 Everything was thought of when designing this spectacular home. 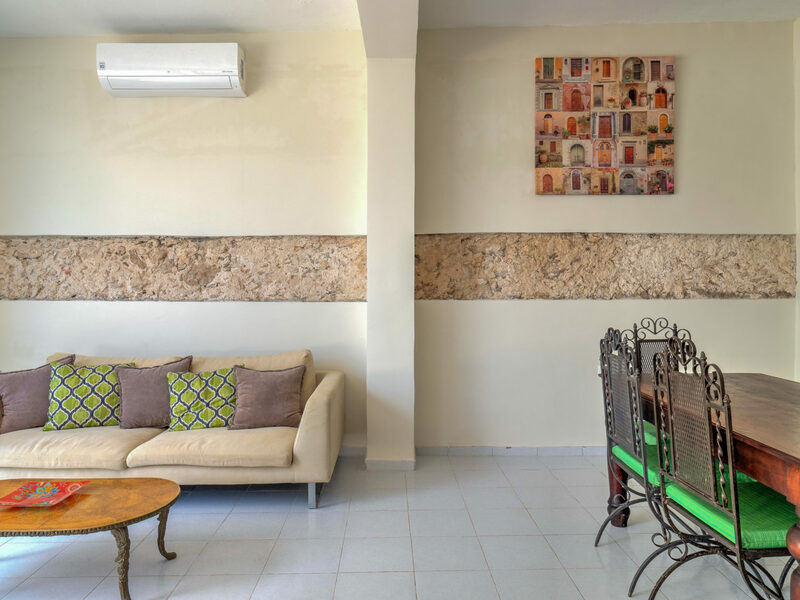 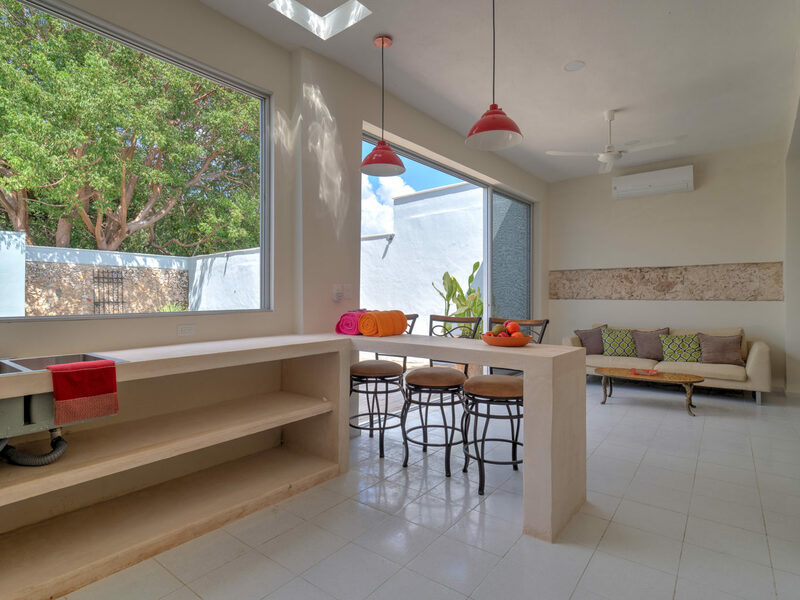 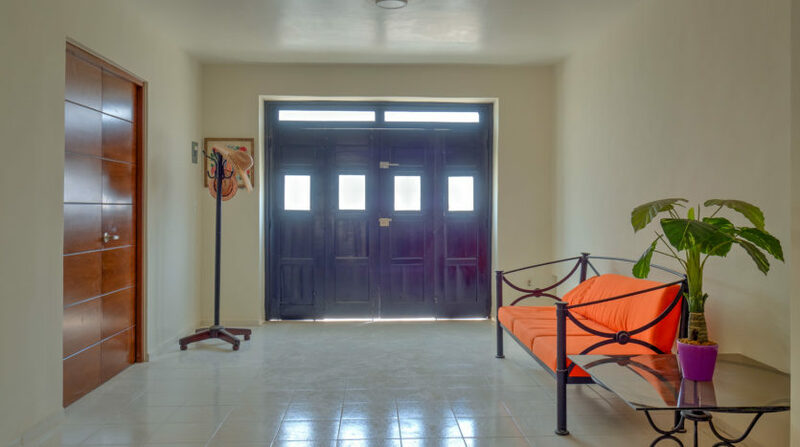 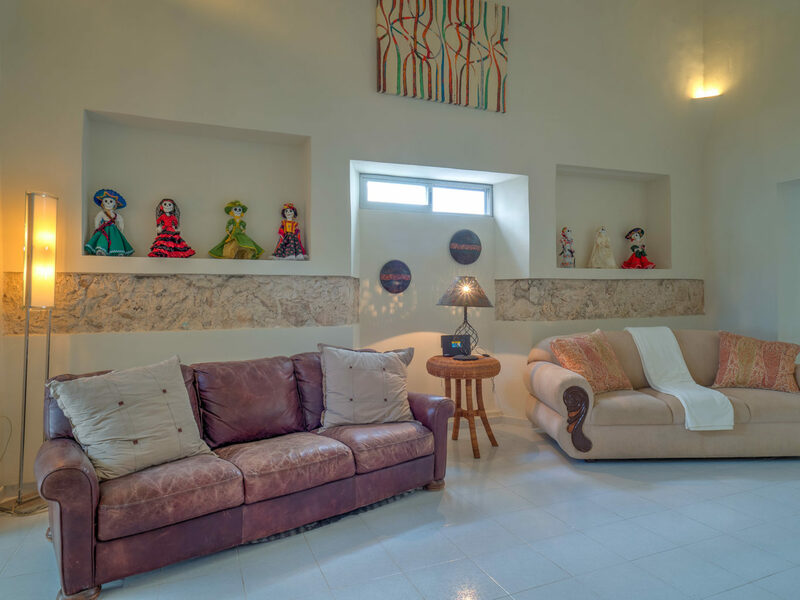 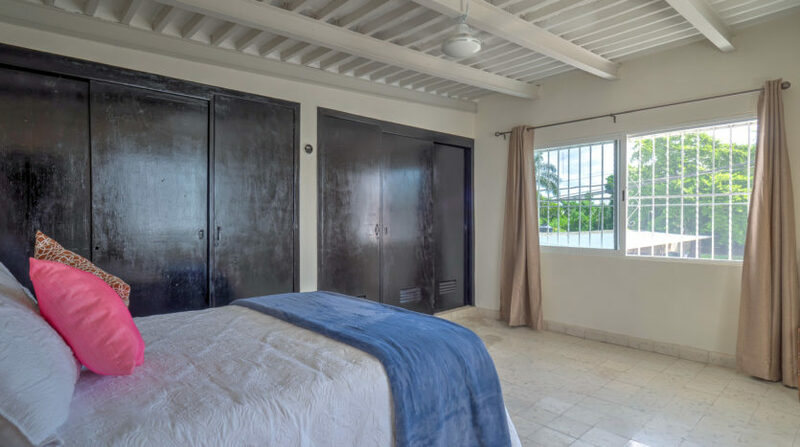 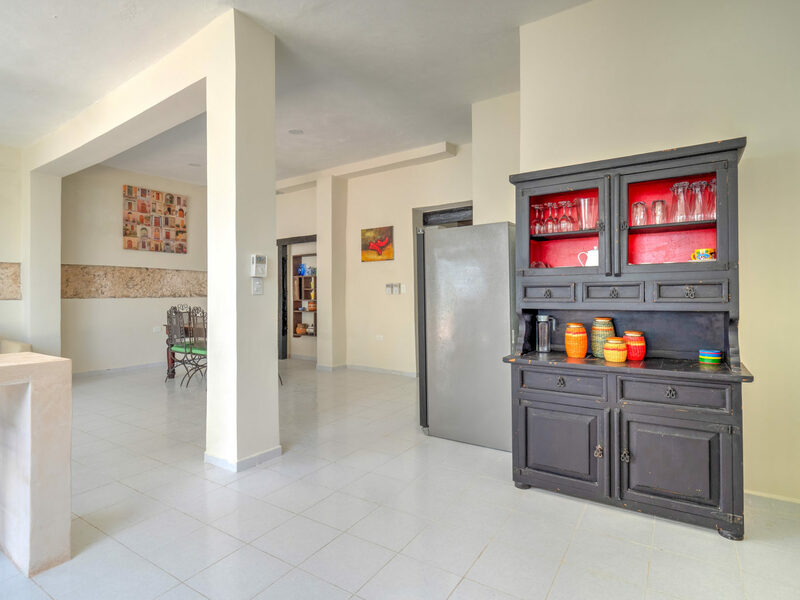 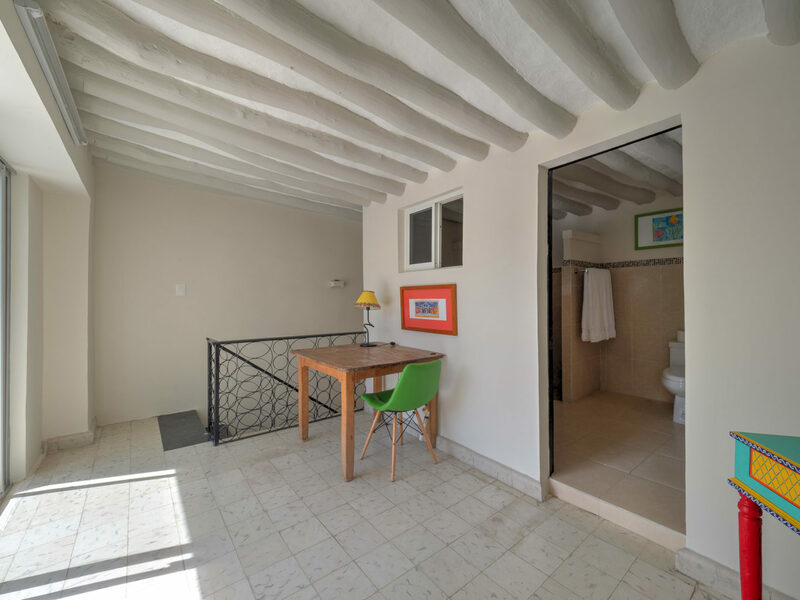 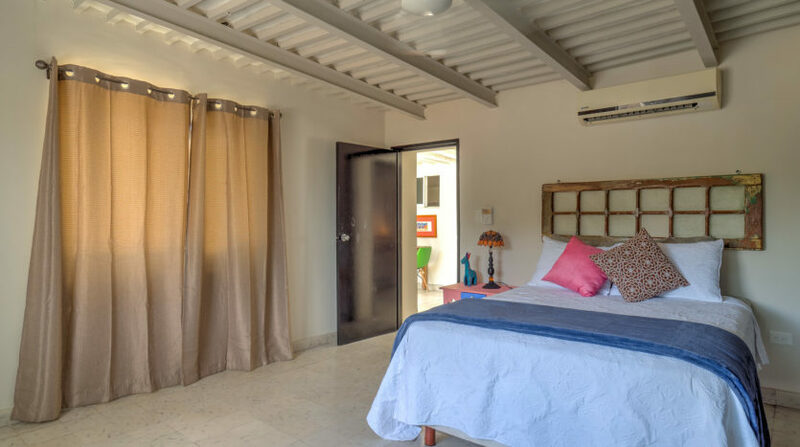 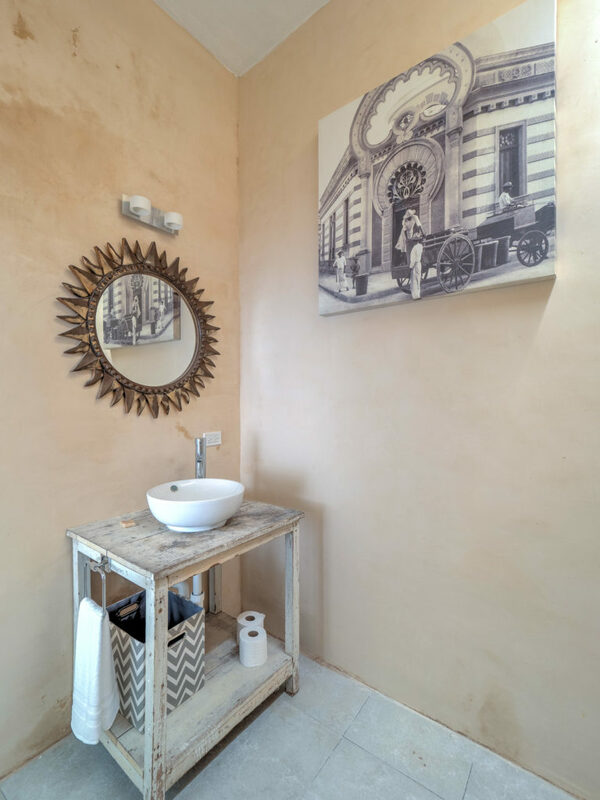 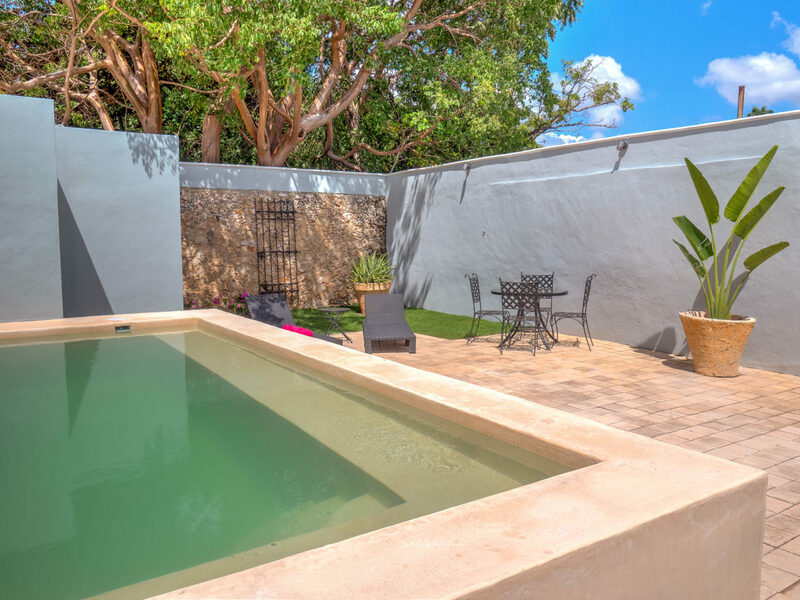 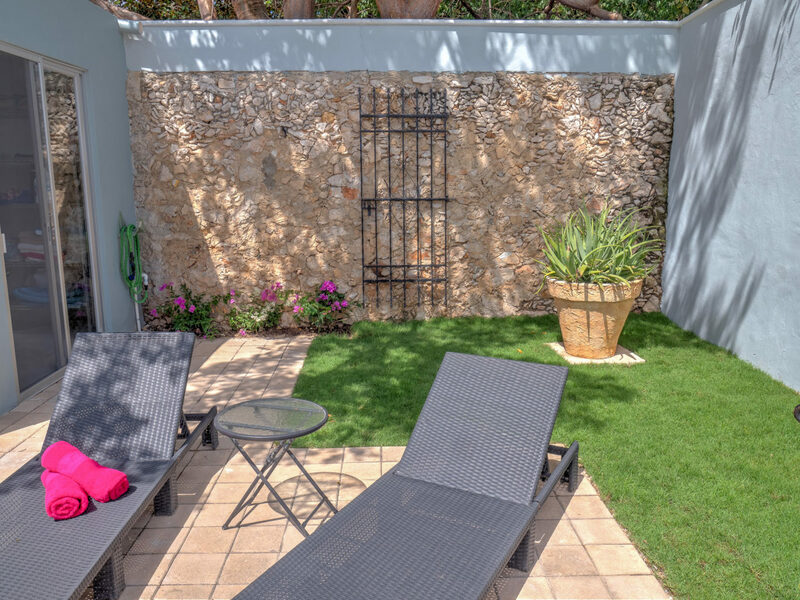 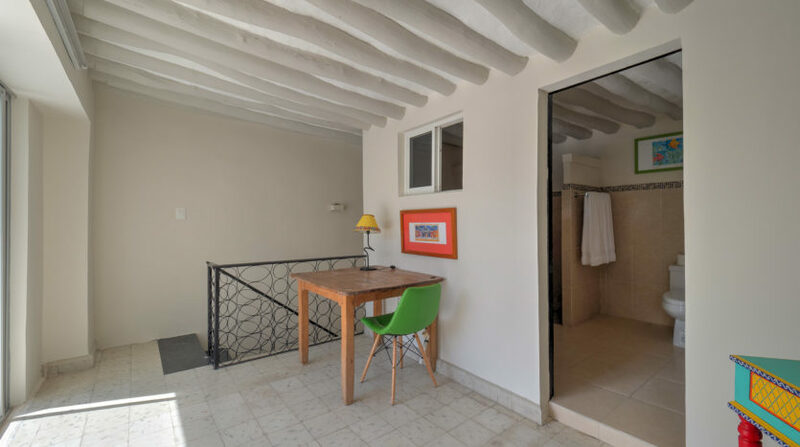 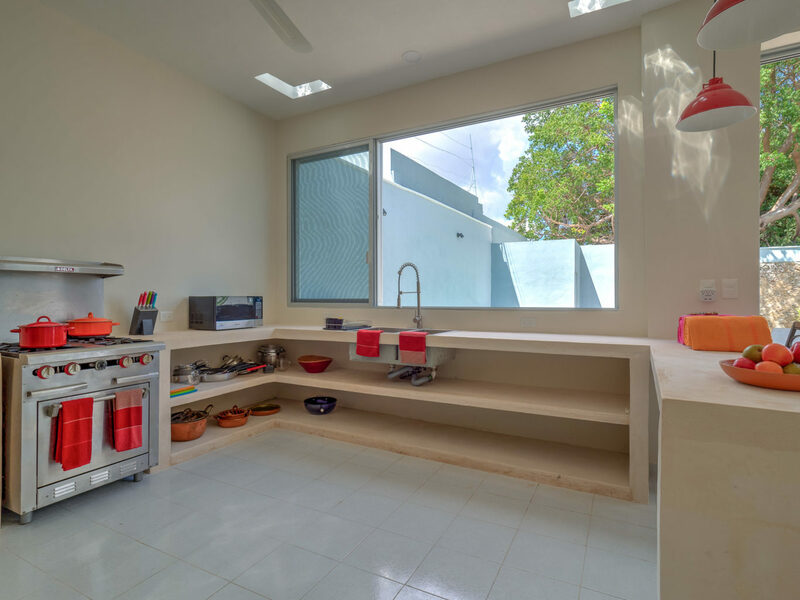 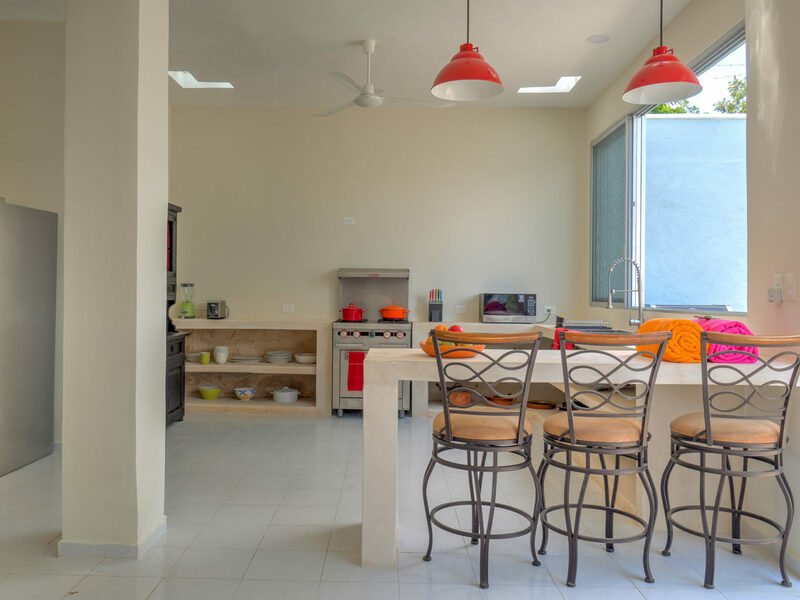 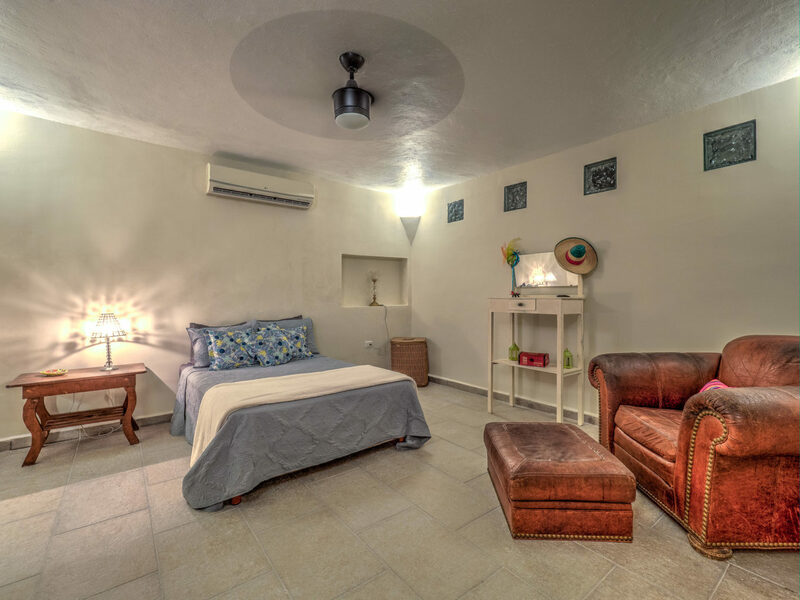 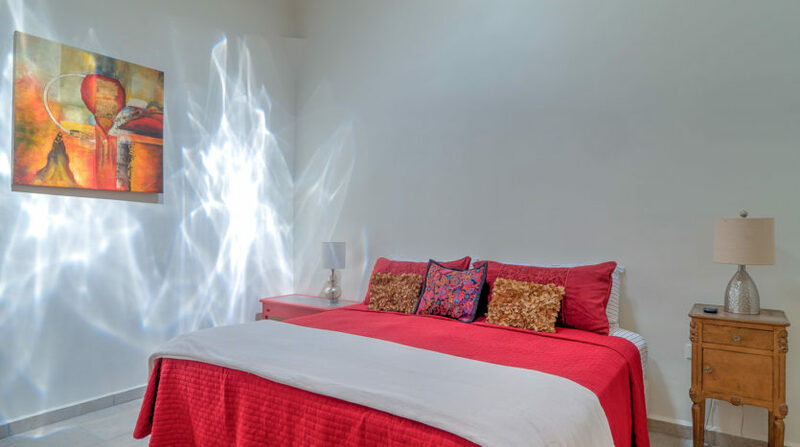 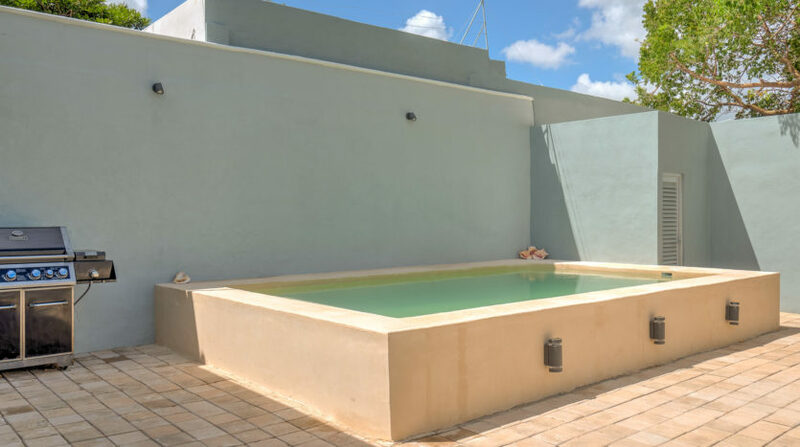 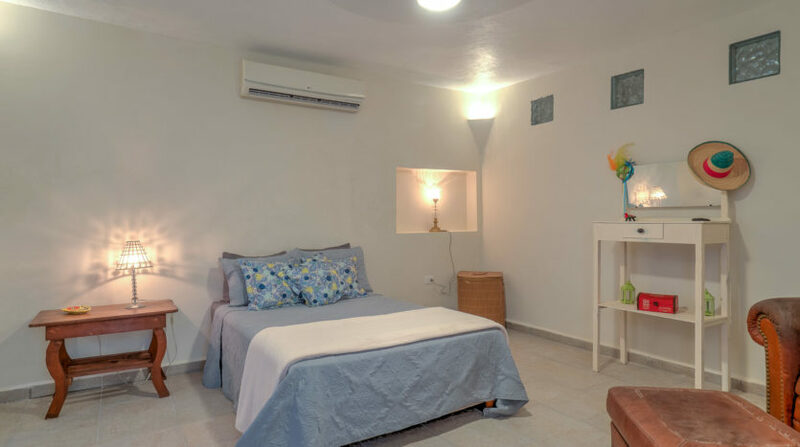 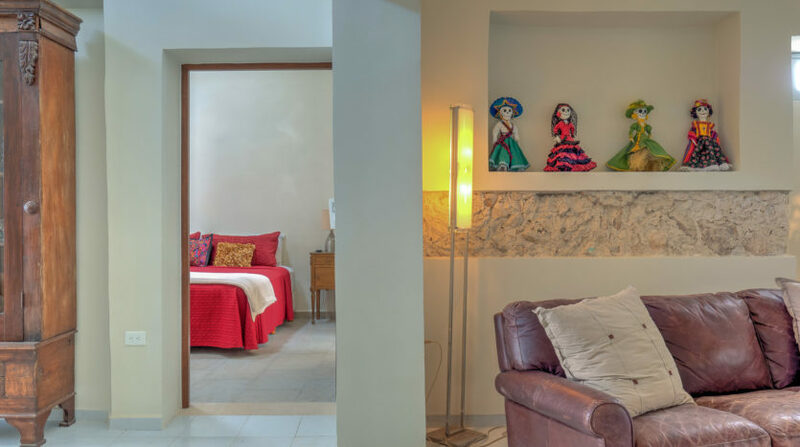 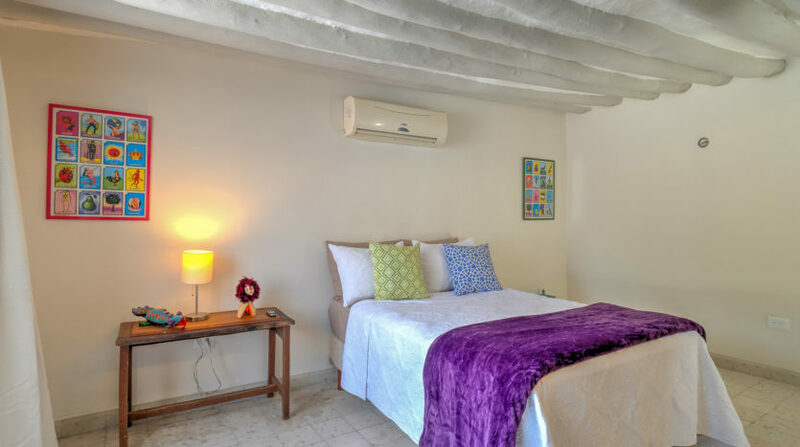 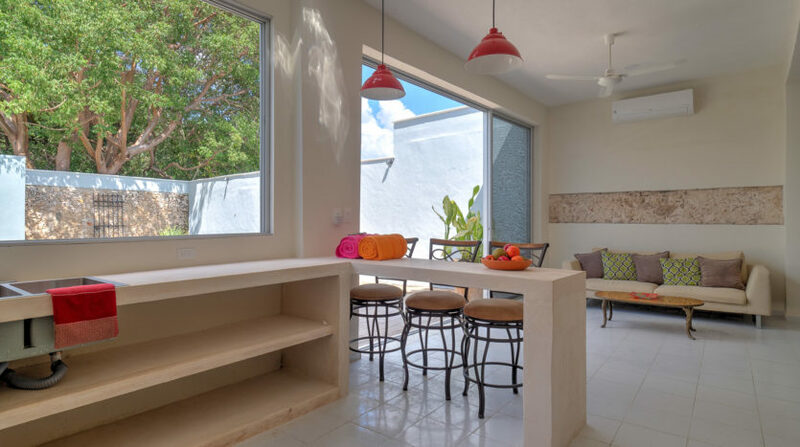 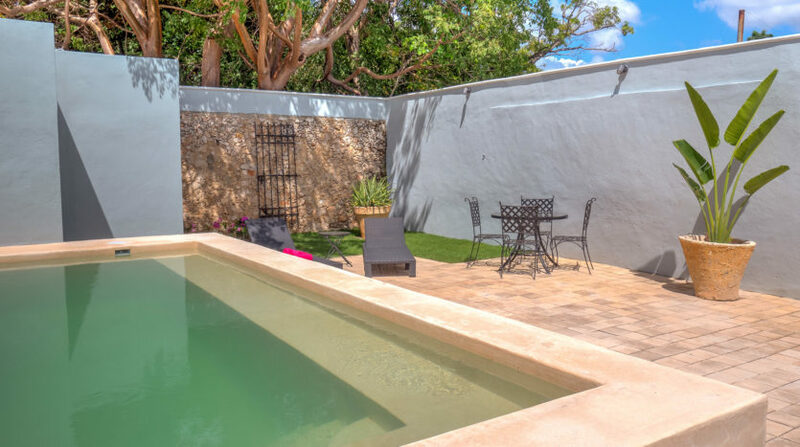 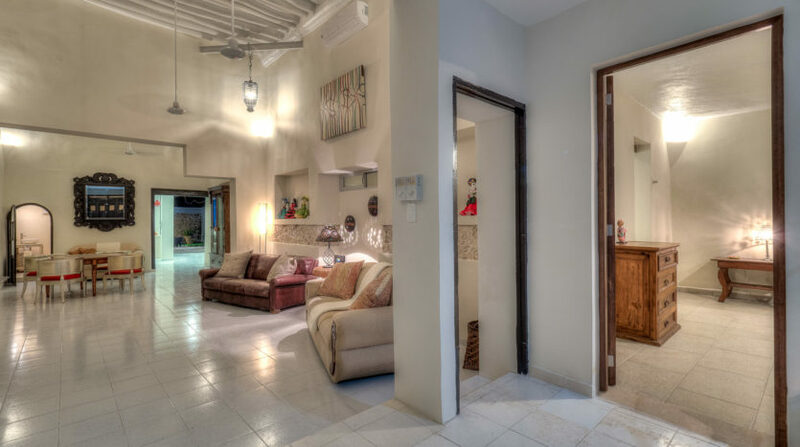 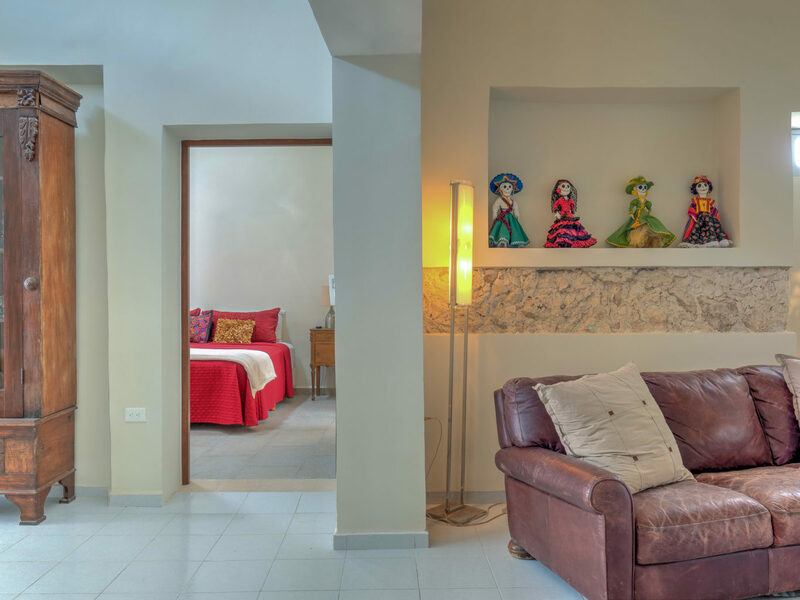 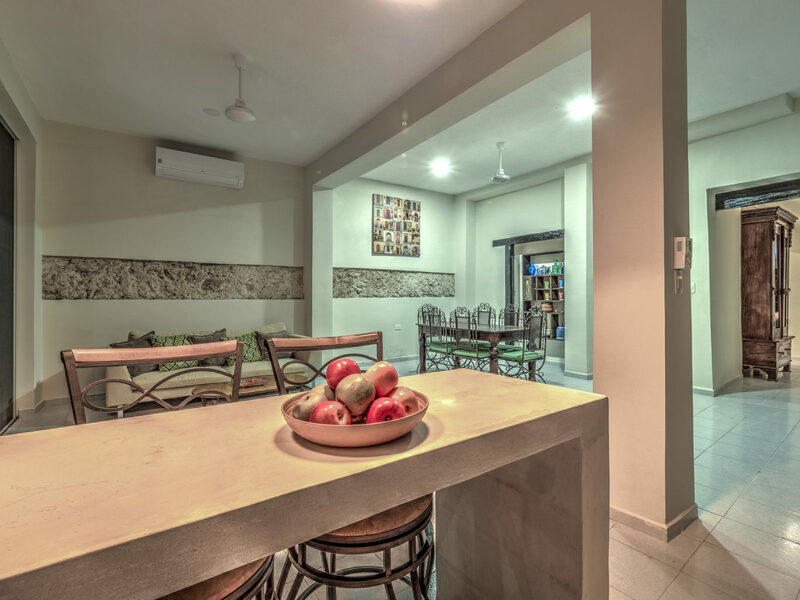 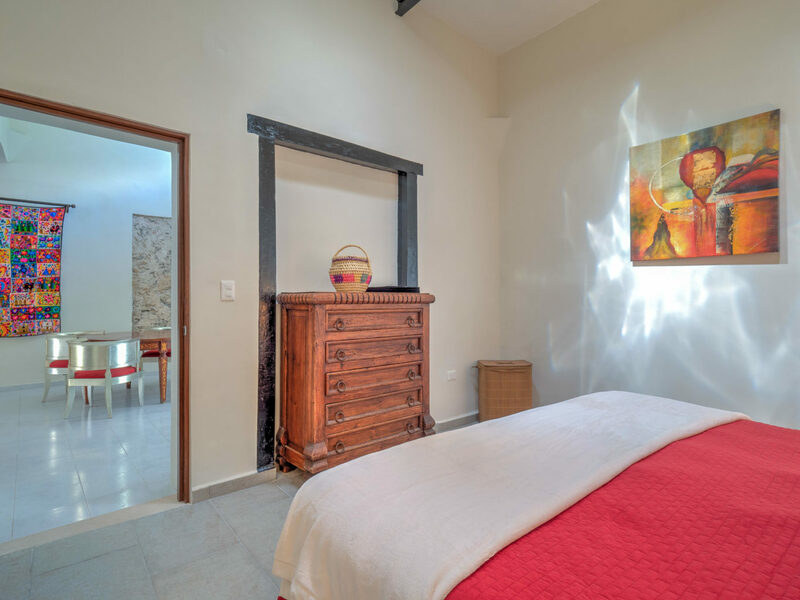 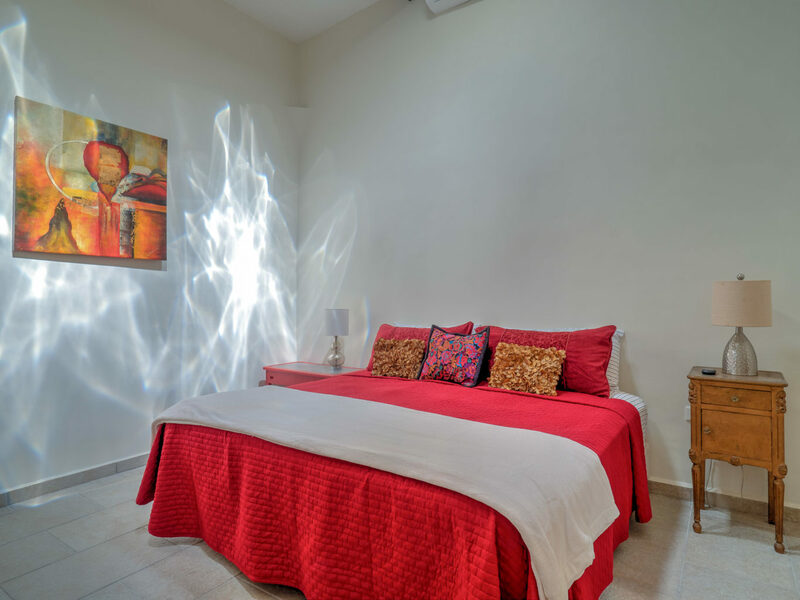 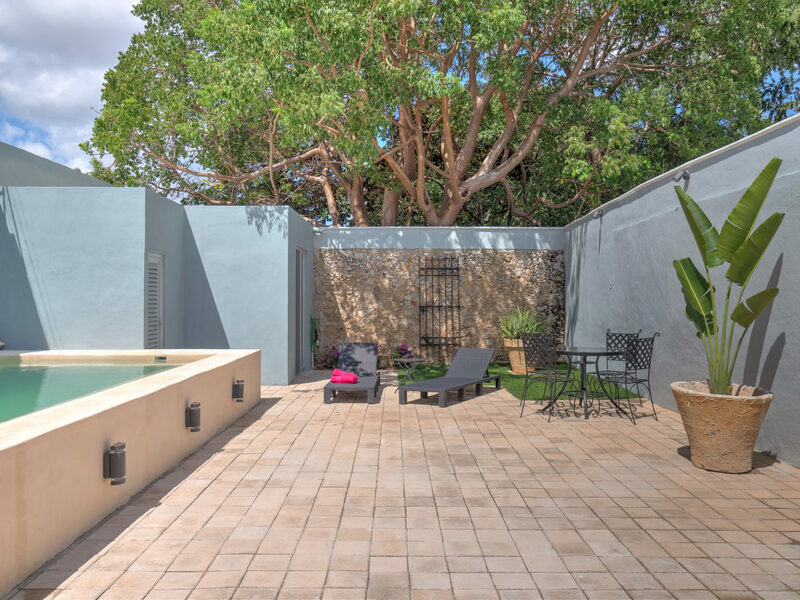 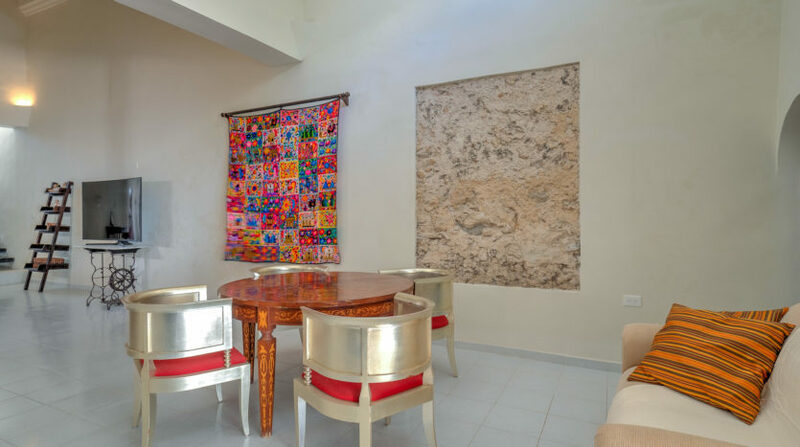 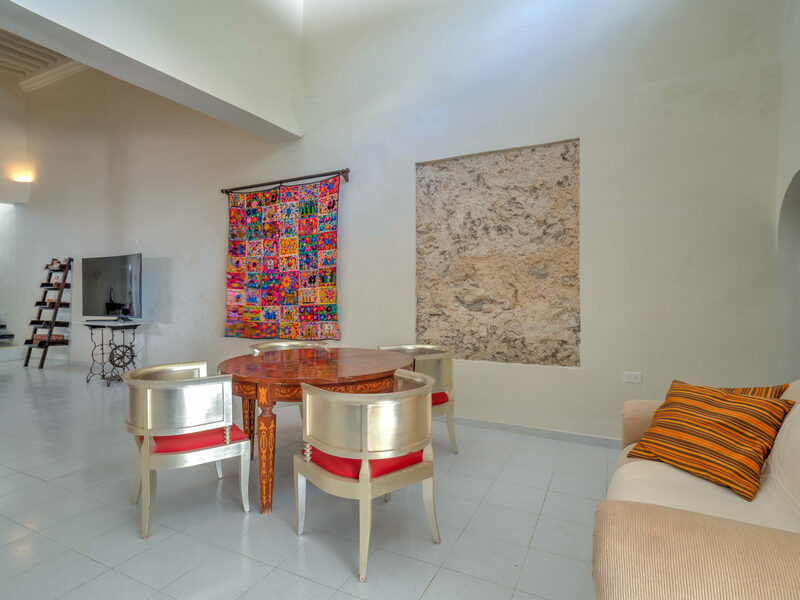 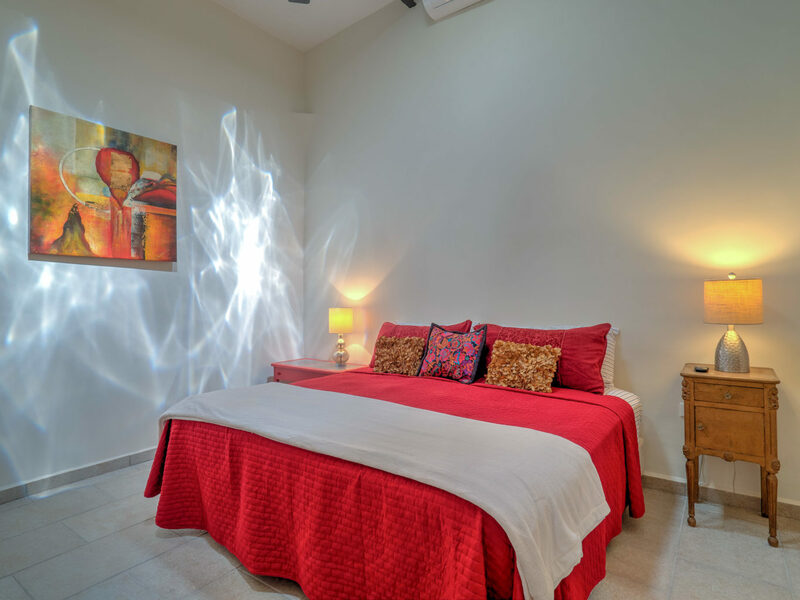 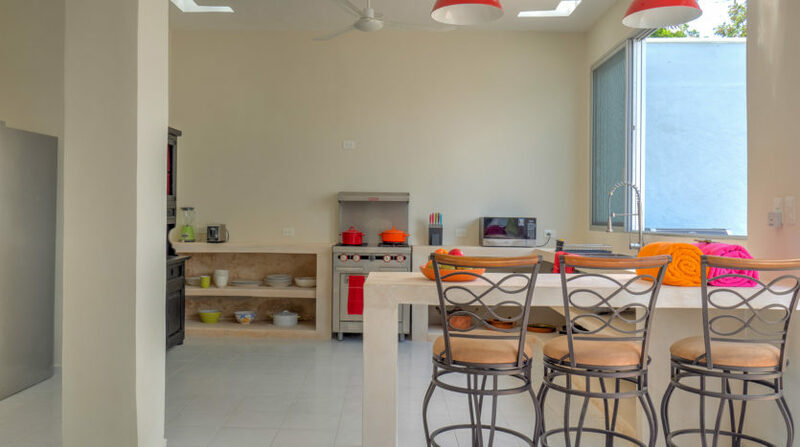 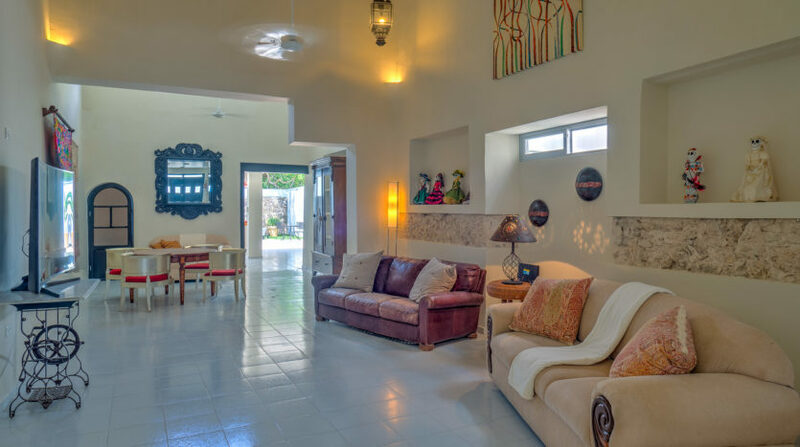 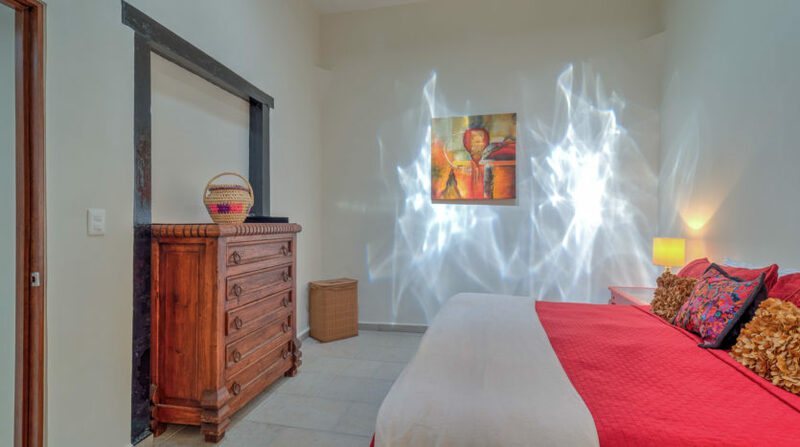 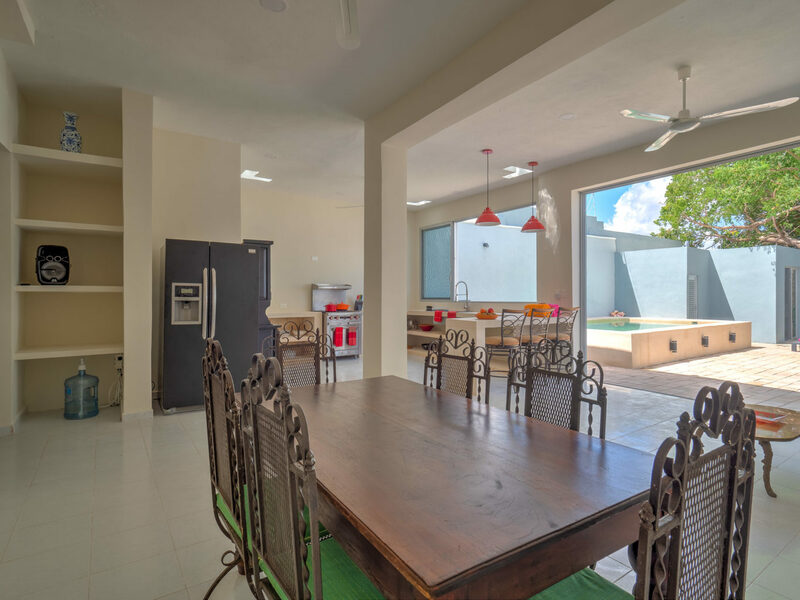 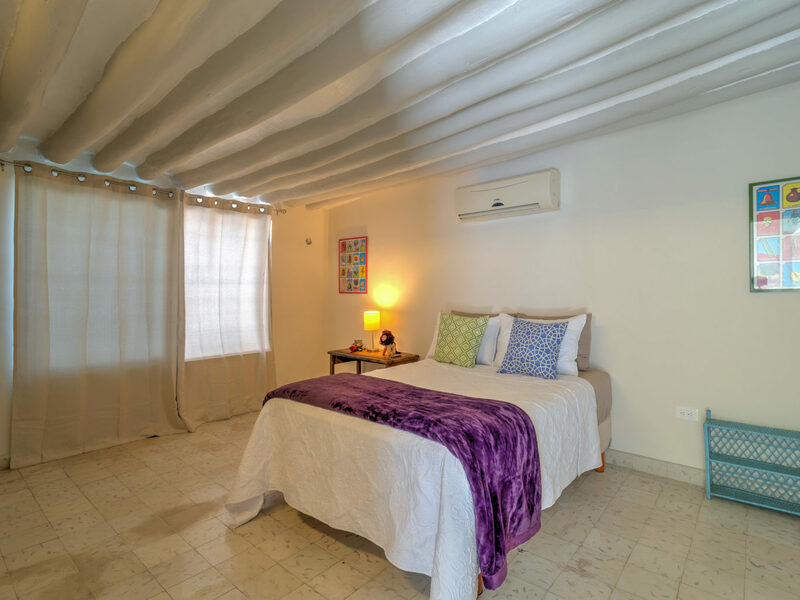 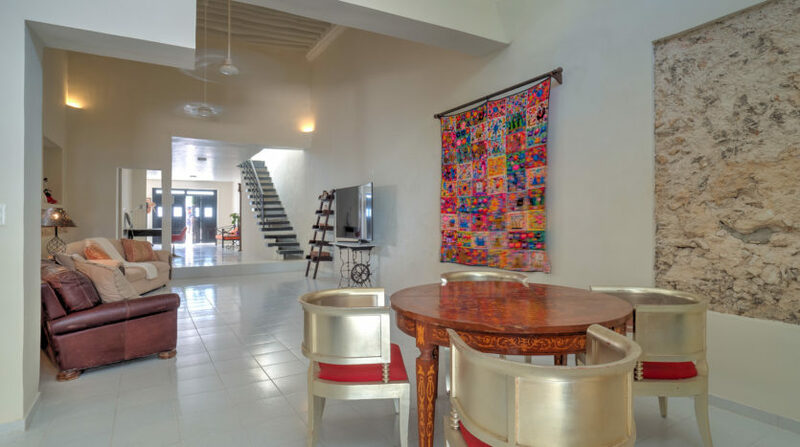 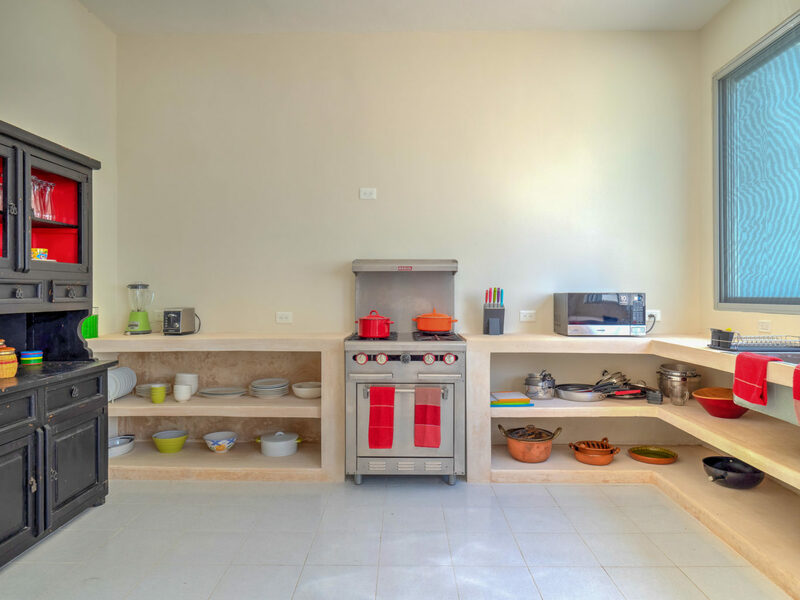 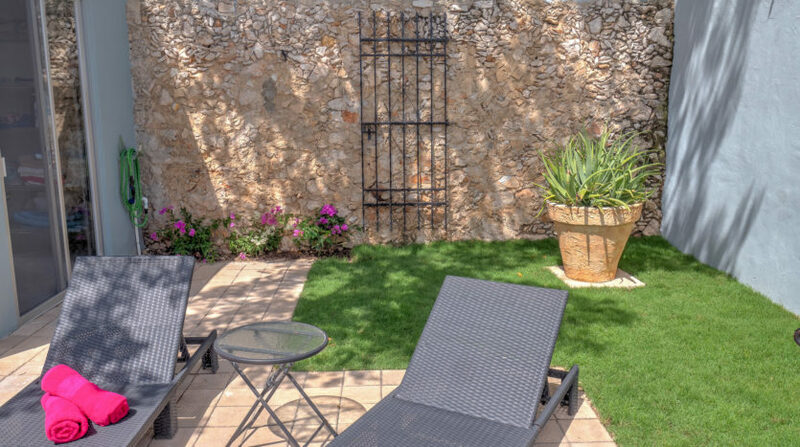 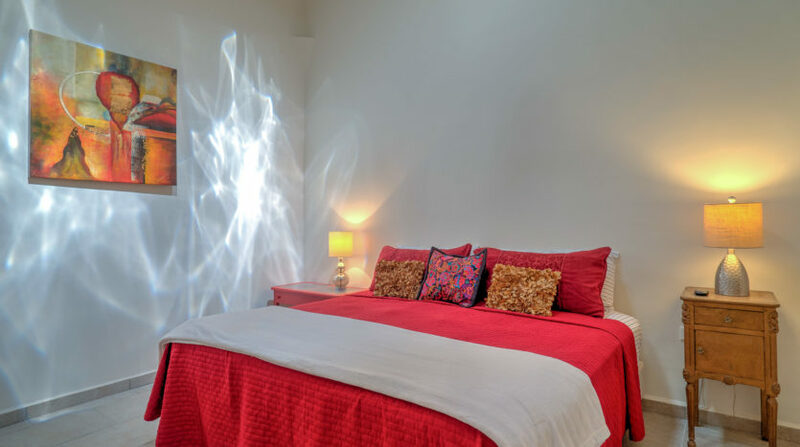 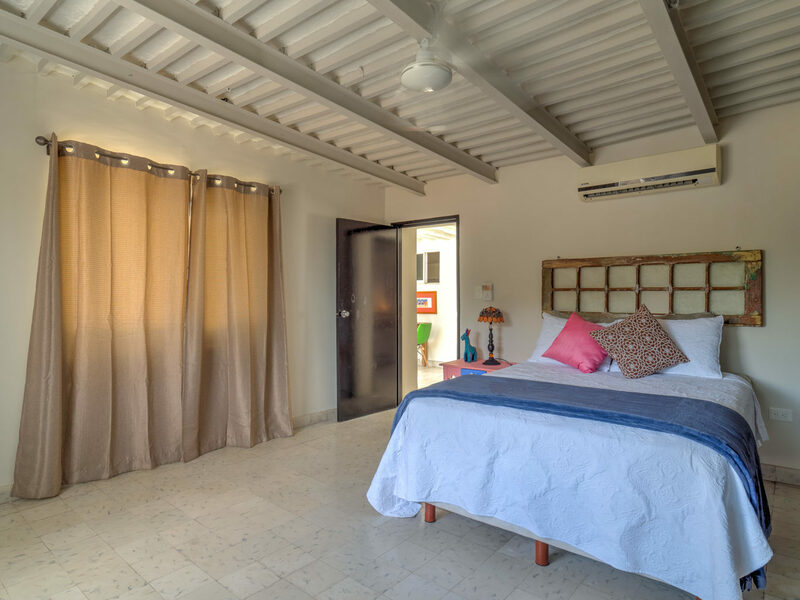 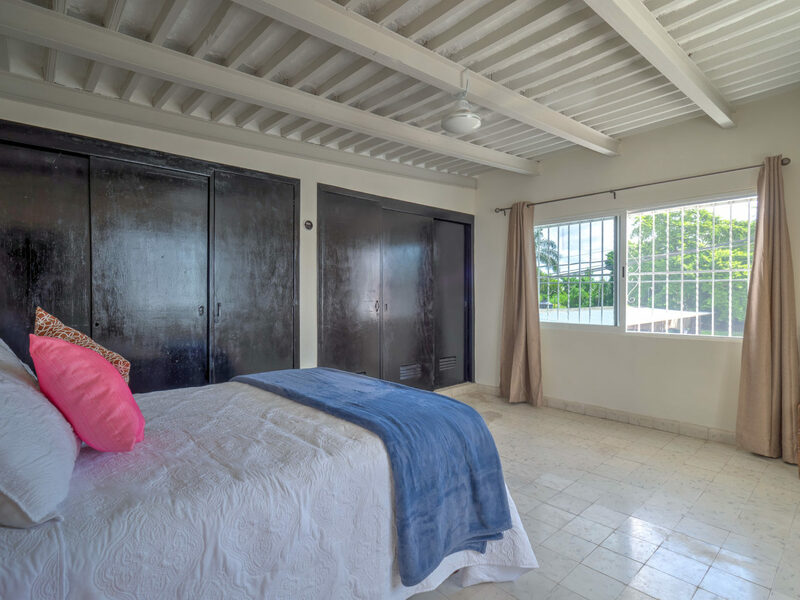 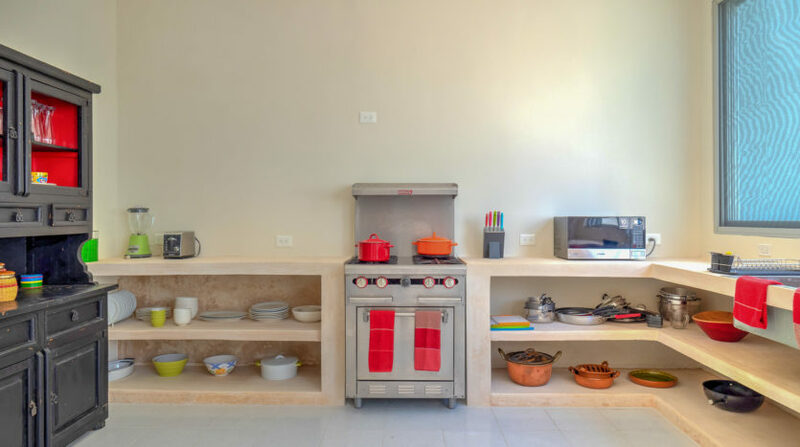 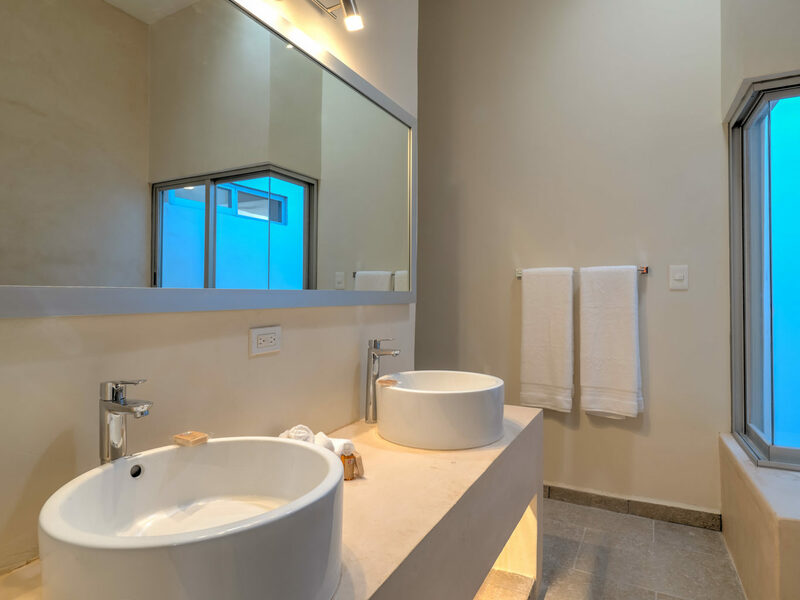 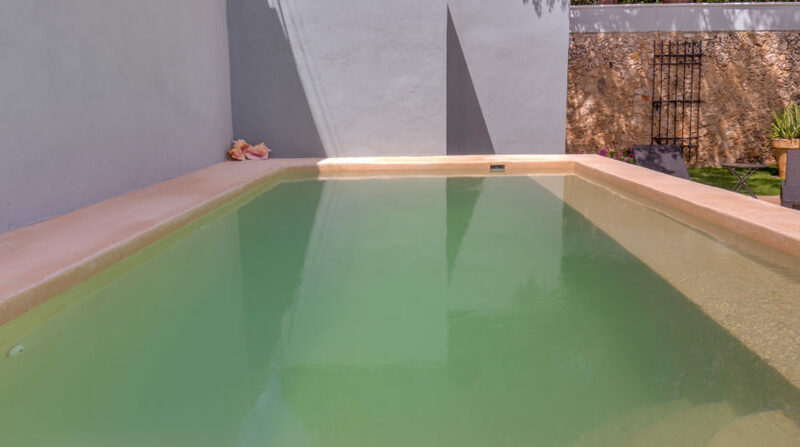 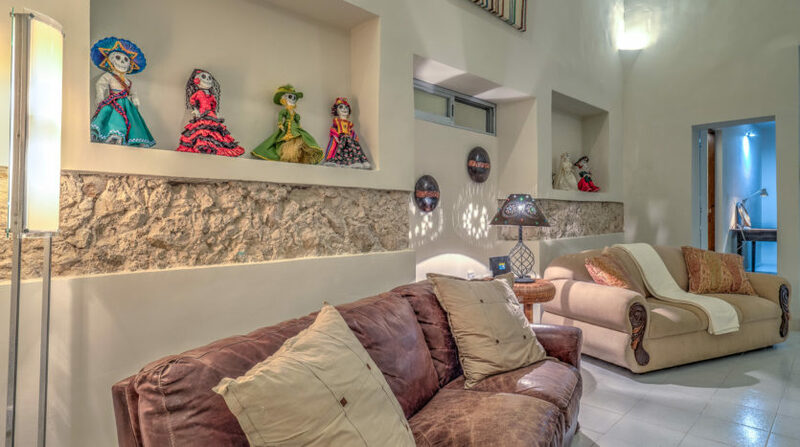 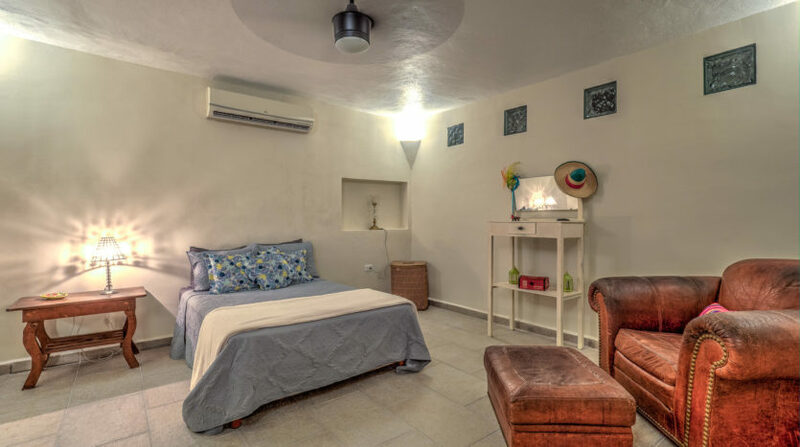 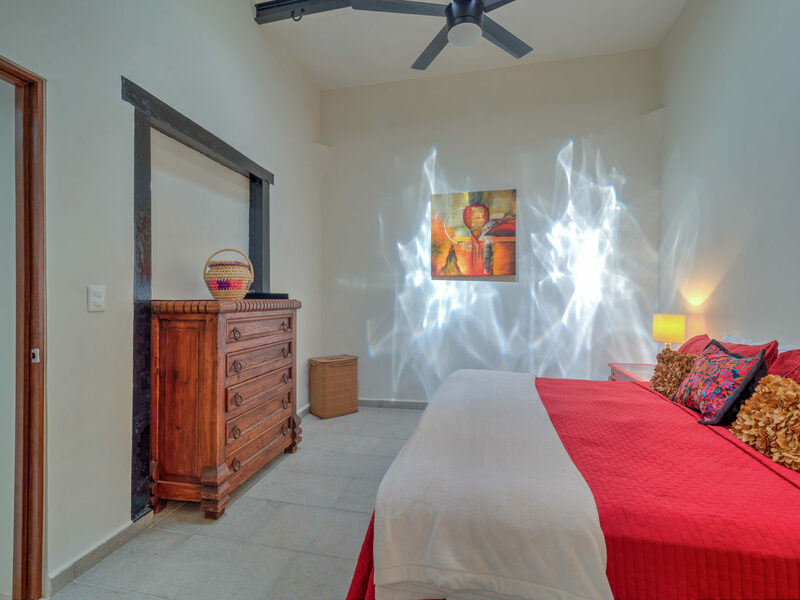 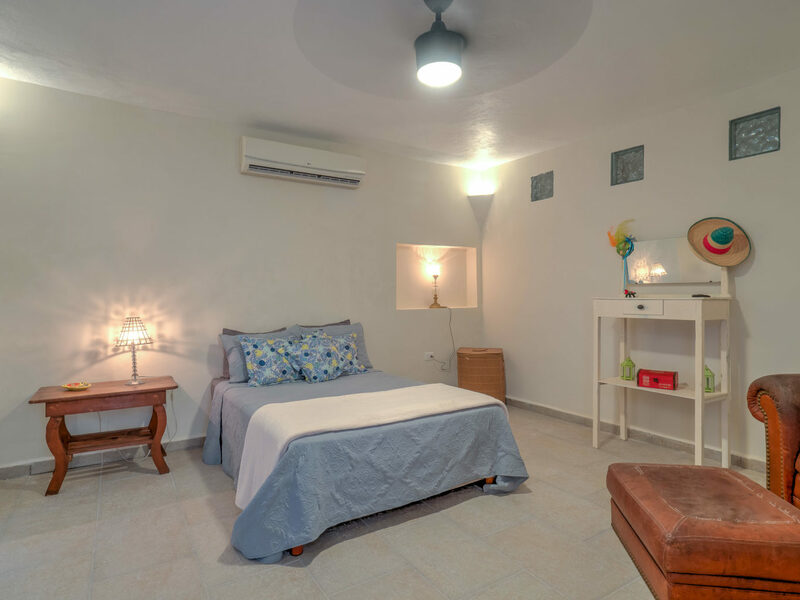 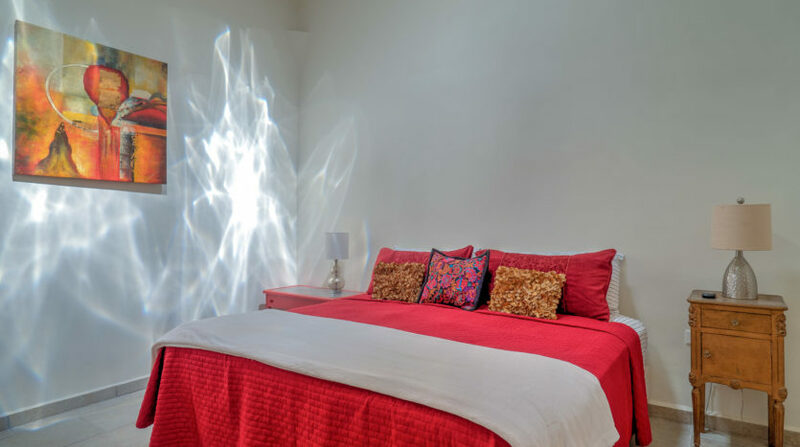 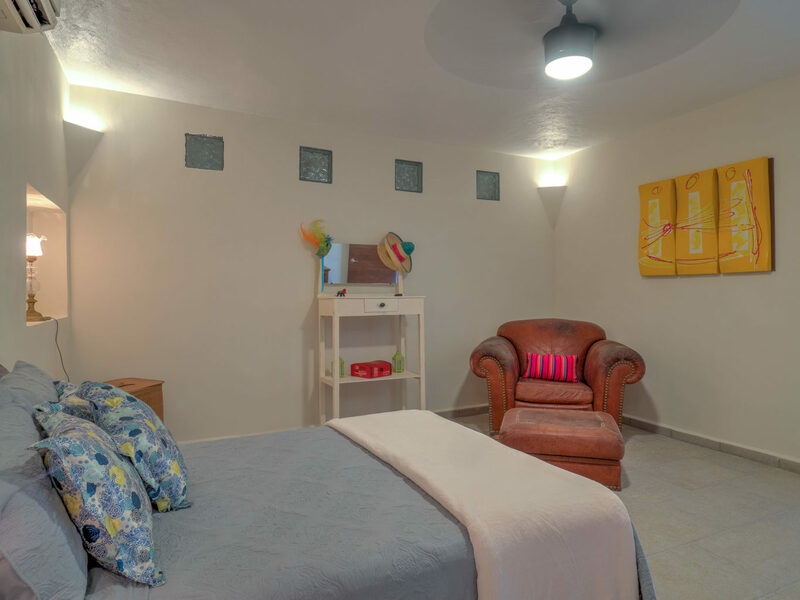 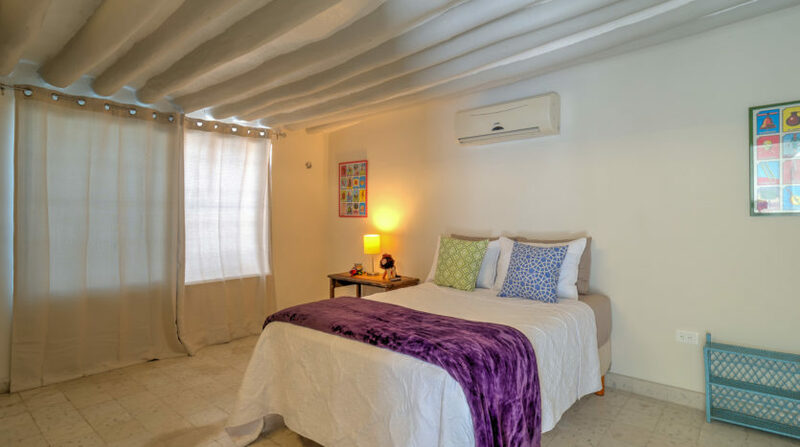 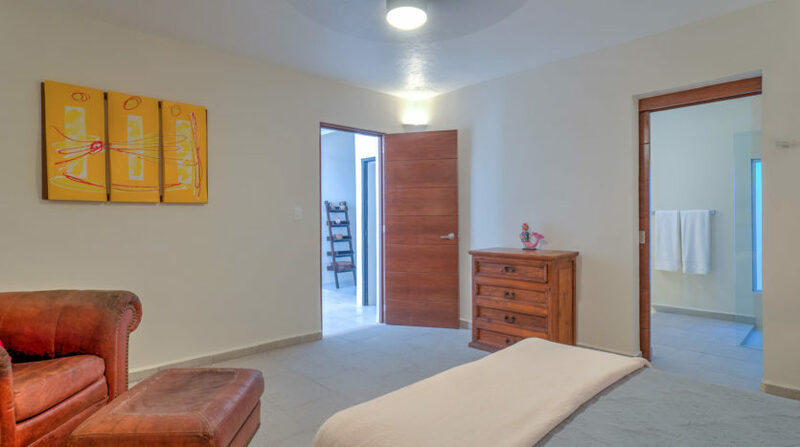 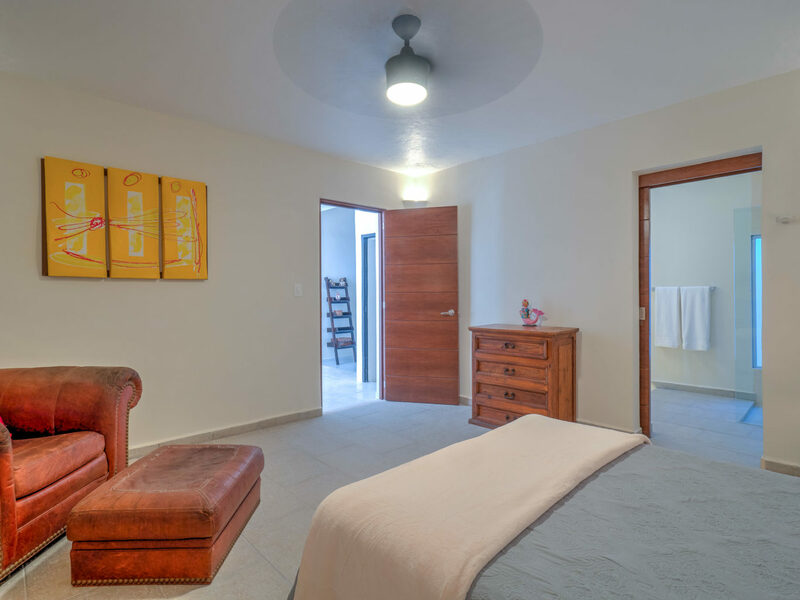 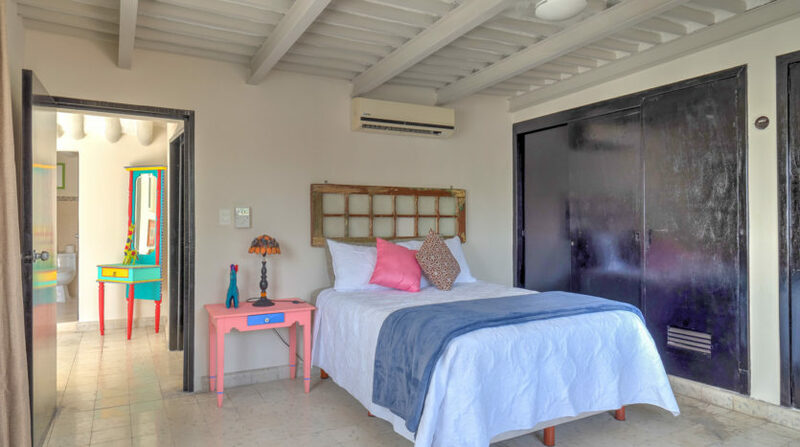 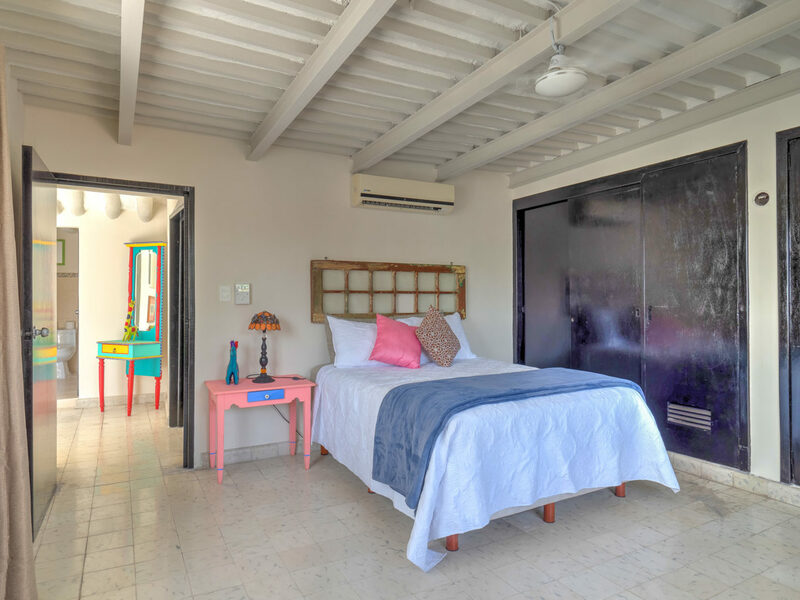 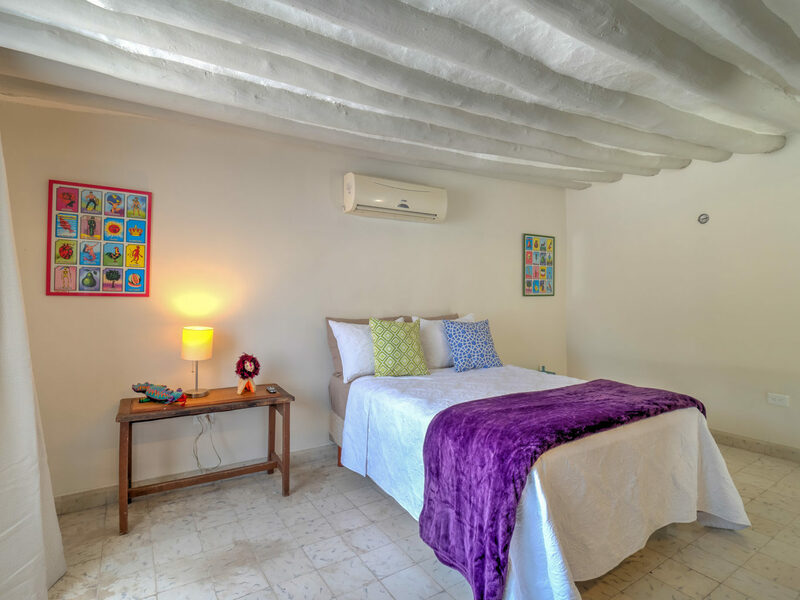 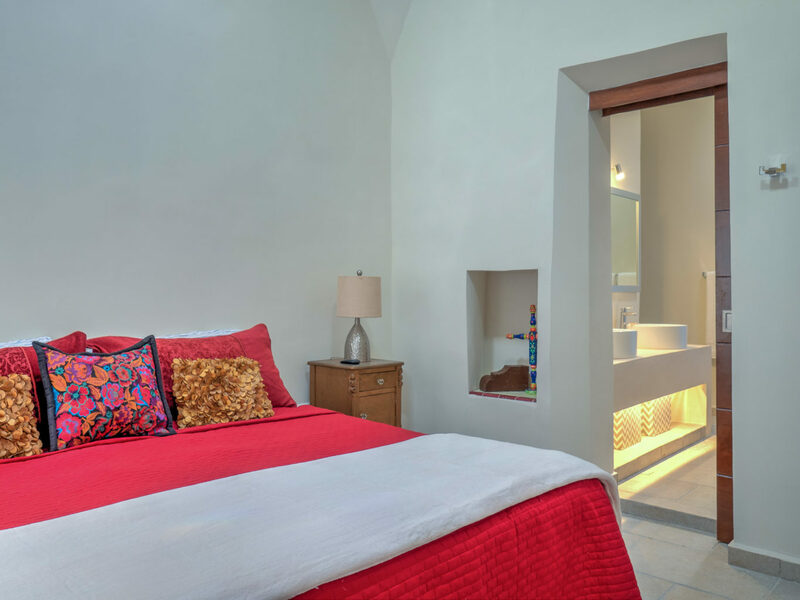 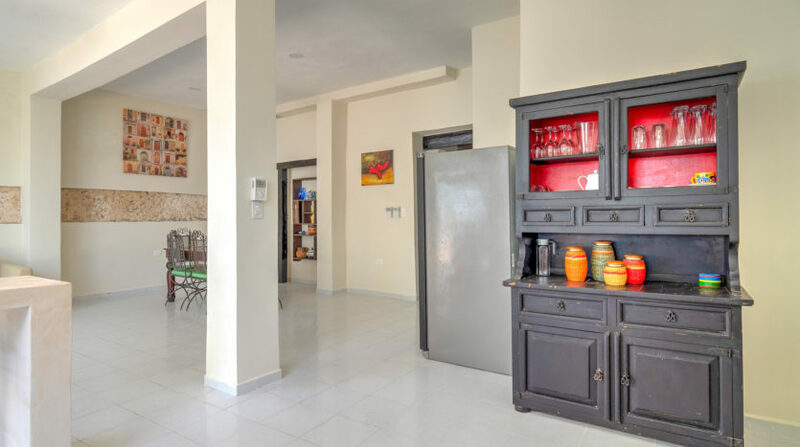 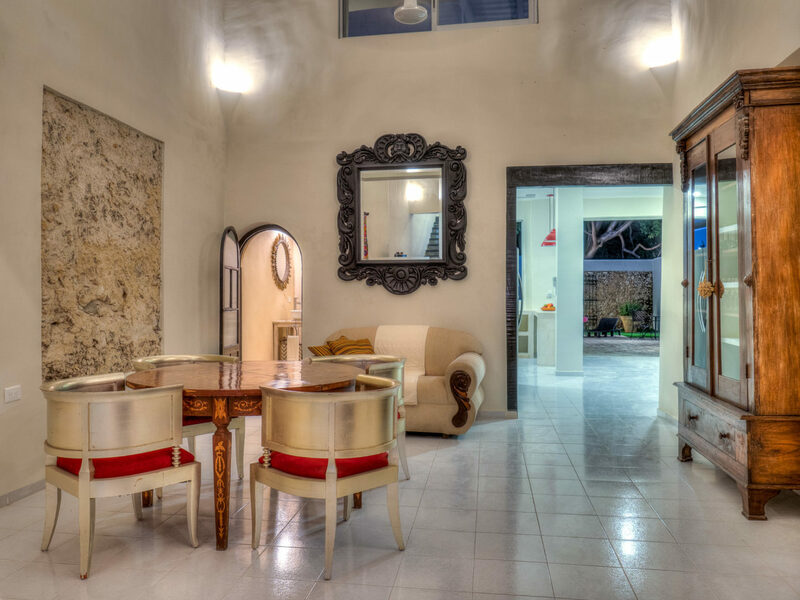 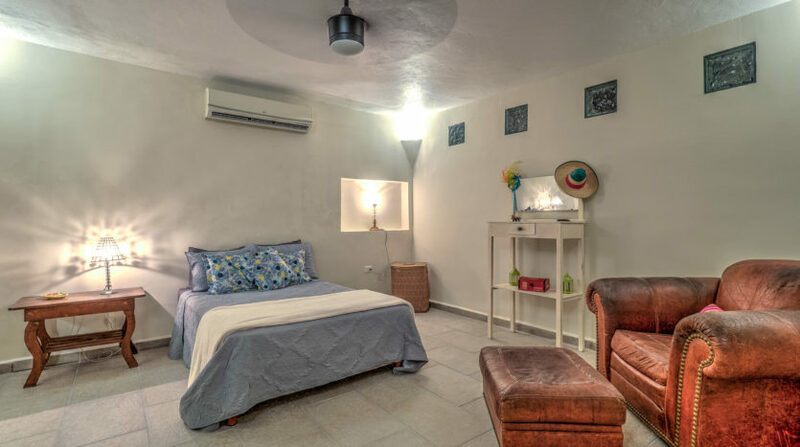 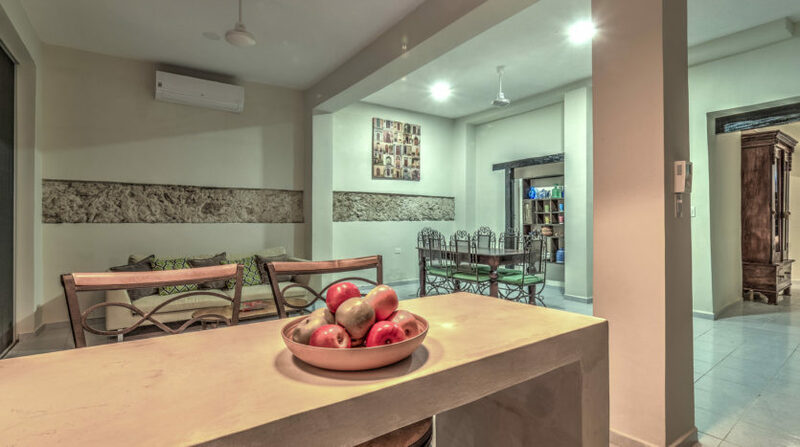 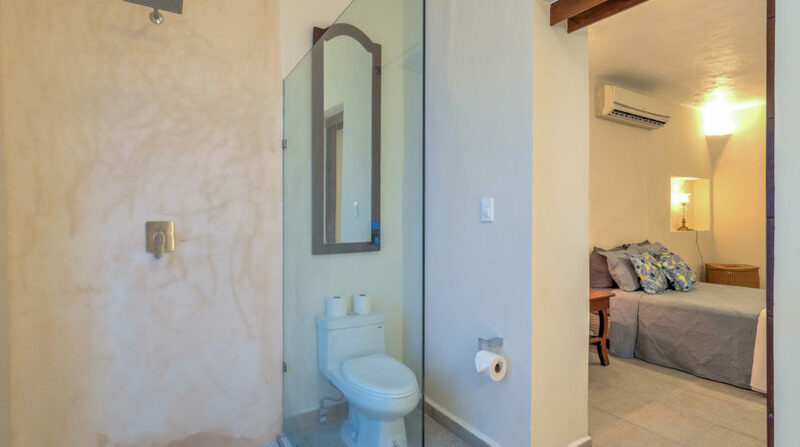 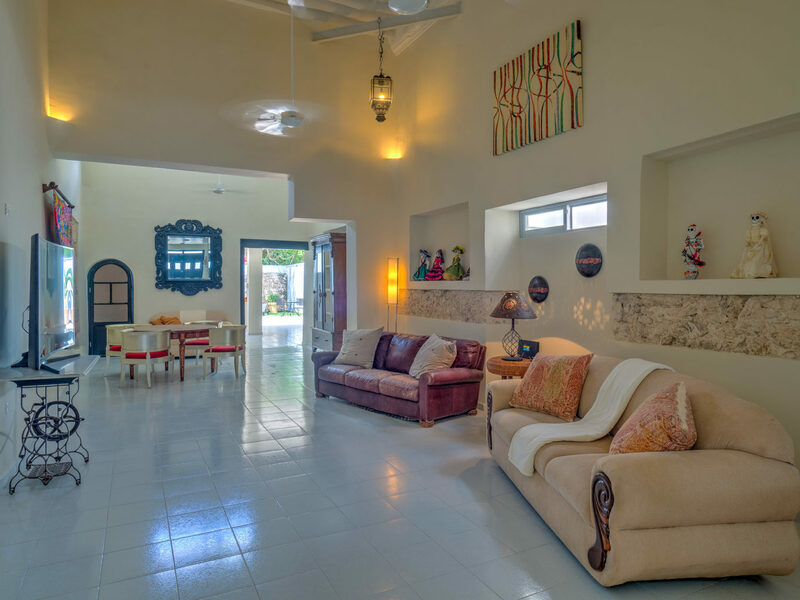 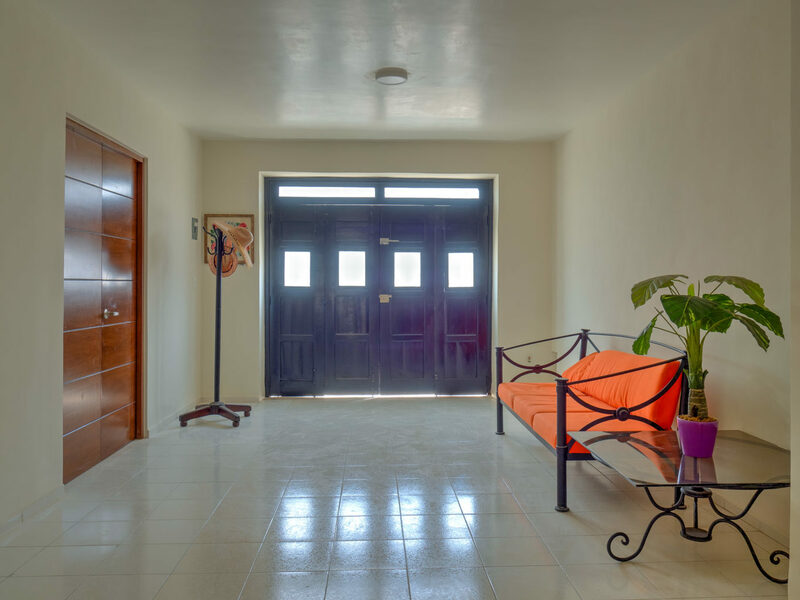 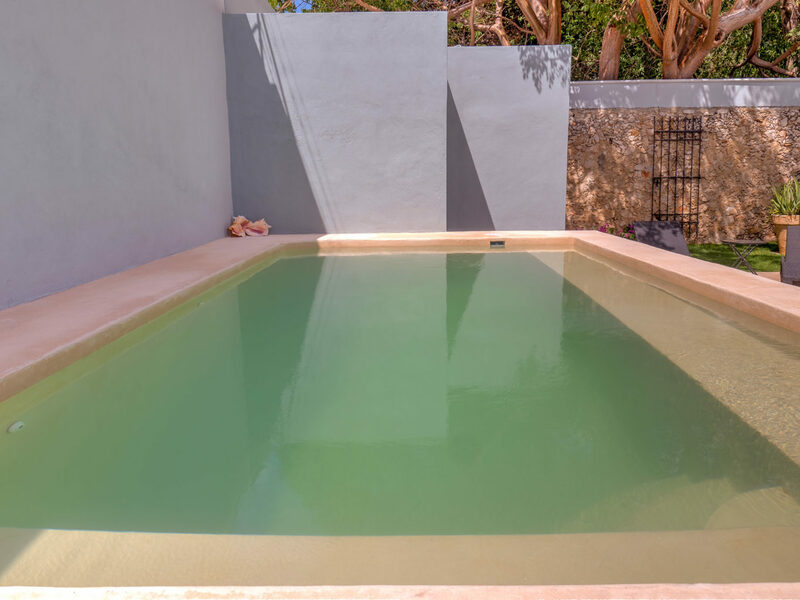 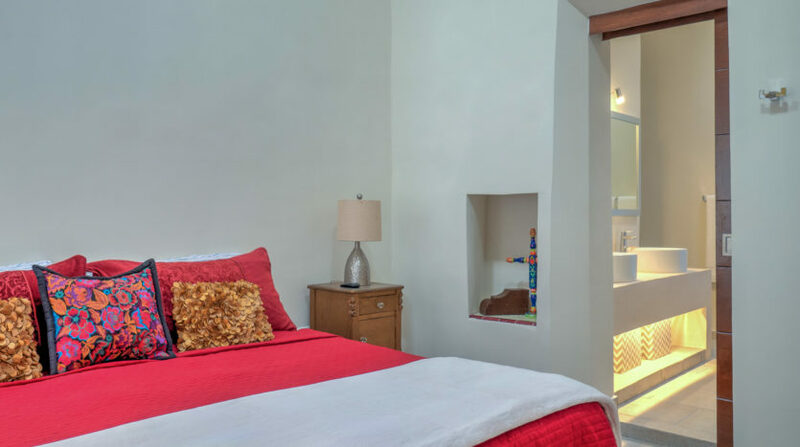 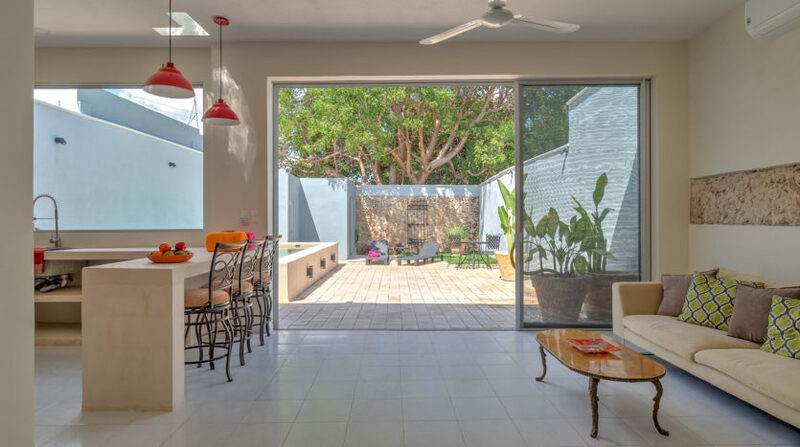 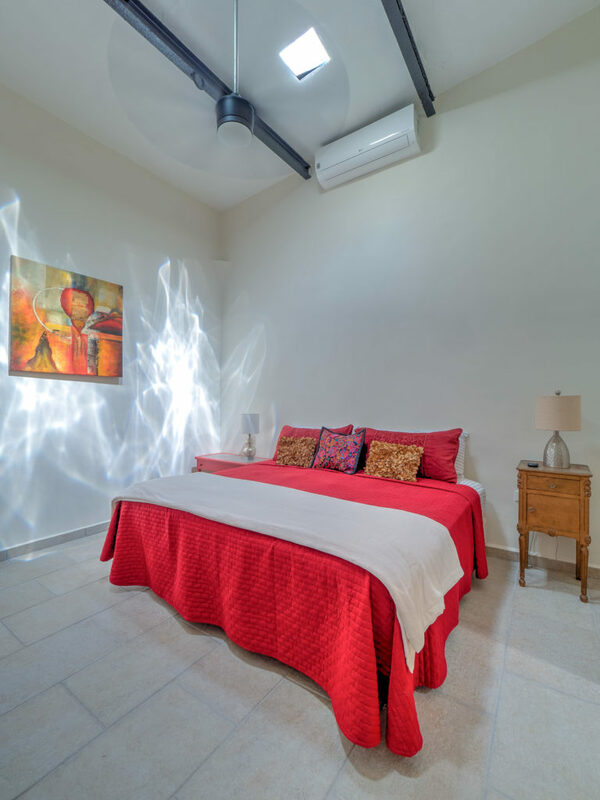 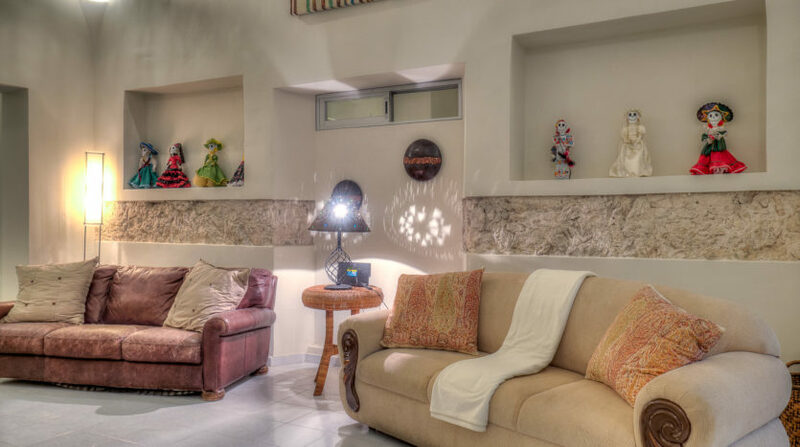 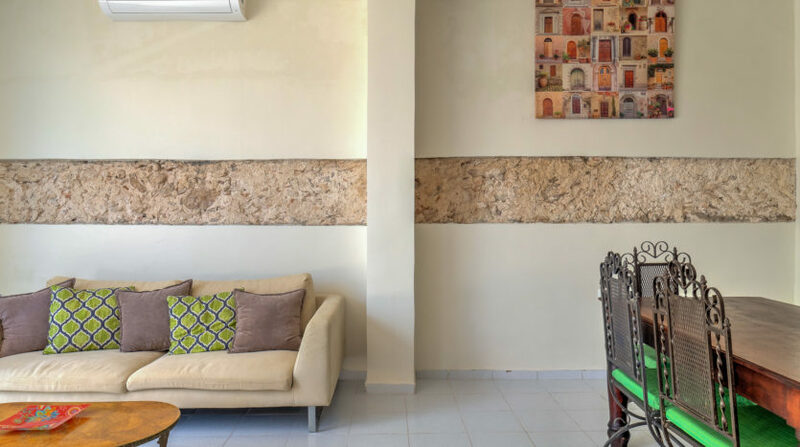 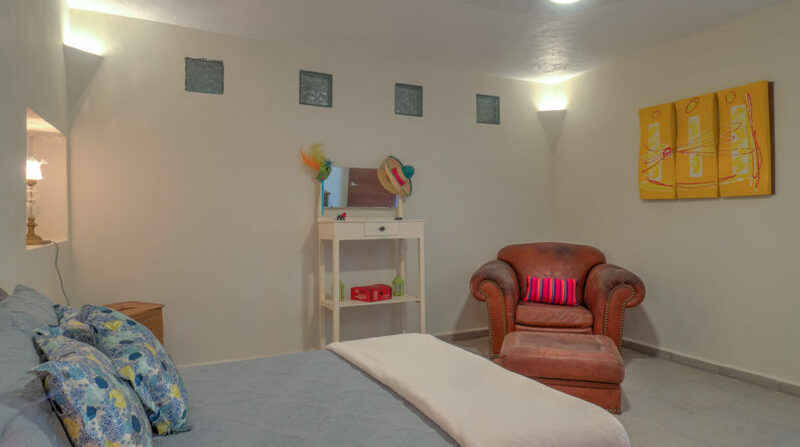 The house has pressurized water, ceiling fans and mini split air conditioners throughout including all bedrooms, WiFi internet, LED lighting and even solar power. 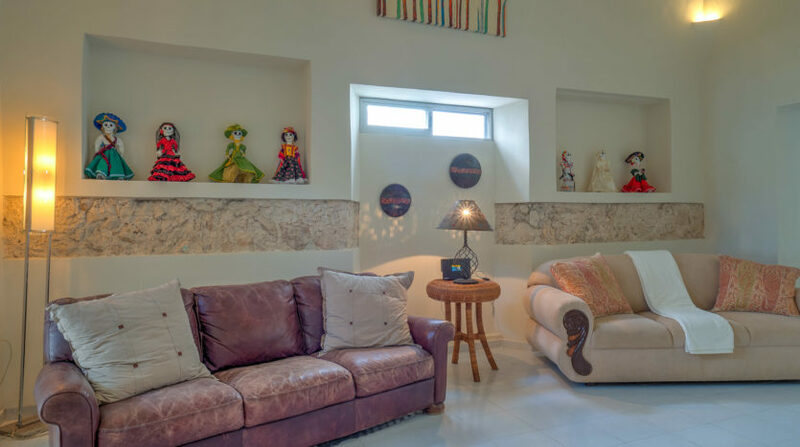 If you are looking for that special place for your vacation, this is one home which you and your guests are sure to always remember fondly.